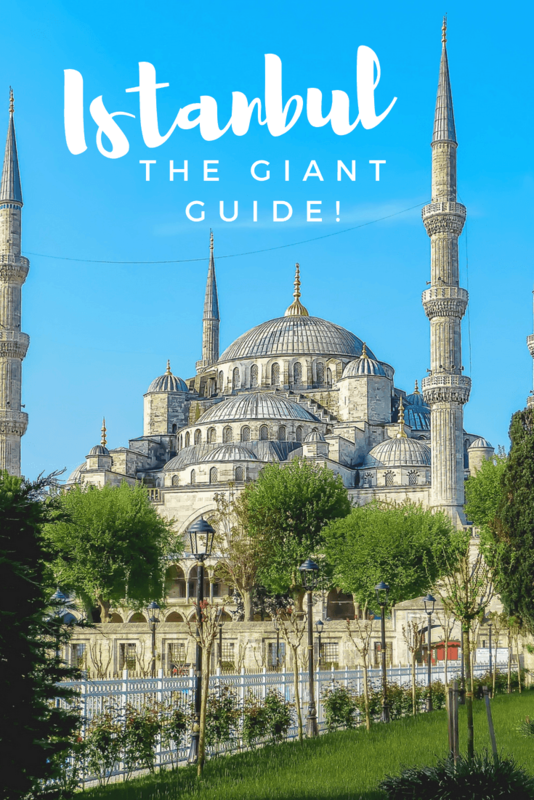 The Giant Guide to All Things Istanbul! The first time I went to Turkey I was 16 years old and left hoping and praying I’d never have to enter the country again. A young, bleach blonde girl in the coastal (and heavily tourist) city of Kusadasi was like a magnet for pushy salesmen and overly interested teenage boys. I know that’s a cliche but it was my experience, and it left a bad taste in my mouth. As far as I was concerned I’d been to Turkey and had no desire to go back. Half of my life passed and shortly after my 31st birthday I was going to be visiting Istanbul. Those early memories of Turkey had faded and I was ready to experience what I had been told was a magical city. But somewhere in the back of my mouth that bad taste and bad memory lingered. I held back my fear and silently hoped the same scenarios wouldn’t play out again. It only took a few hours for me to understand what was so special about this place. You’ll find it in Istanbul; streets packed with people, the blowing of horns on the Bosporous, boats, trains, ferries, honking cars all awash with a sepia tone that sweeps across the skyline. You’ll remember that color long after you leave. It fits. Istanbul should always be sepia because it’s the only tone that encapsulates the history bursting out the seams of the city. There’s no shortage of things to do and see. I’ve now visited several times and I still feel like I could easily go back and spend another month, still failing to experience everything. The first time I went I was hesitant to tell my mother, the same way a teenager might hold back their first boyfriend or where they were the night before. I knew she would worry, the only thing the news shared about Istanbul was the bad news. But in a city of over 10 million people, there’s bound to be some bad. It didn’t frighten me. It did make me aware but it was easy to immediately see there was a police force patrolling and life was going on. I’m a big believer that what is meant to happen will happen and there’s no point in restricting our lives out of fear. The truth is there’s no better time to visit Istanbul than right now. Yes, right this very moment, no matter when you’re reading this. When you go there’s one thing that you can not miss. Small restaurants at every corner full of every kind of food imaginable. Tiny plates of mezze showcasing the bounty that is Turkish cuisine – from every corner of the country – complimented by shot glasses of raki or thick coffee that leaves a reminder of the richness of this culture. Istanbul is unlike anywhere else. I never encountered a single person in Turkey that was hostile or even rude. Everyone was incredibly nice, welcoming and friendly. To me the types of interactions I have completely change how I view a place so this is a big deal. Luckily Istanbul is great! This city is so old and has such a rich and diverse history. There are layers upon layers of it and no matter where you turn you’re met with a different facet of that experience. It’s peppered into everything about the place and makes it truly unique. If you’re sold on a visit then you’ll want to read the rest of this massive post to discover what I loved and how to plan your own Istanbul vacation! This depends on your nationality. For me, as an American I do need a visa. It’s very simple to apply online ahead of your trip for an e-visa. The price is $15 and after you fill out the questionnaire and pay your fee you are given a printable receipt. Just present this at immigration control and continue. If you’re unsure whether your country requires a visa or not you can check on the government’s tourism ministry website. You also can apply for a visa on arrival but it will take a bit more time. There are two main airports in Istanbul; Ataturk and Sabiha. They are located in different areas so your options are different for each. Personally I always try to book accommodations that includes an airport transfer just to make things easier. But if you haven’t done this you still have options. Make sure you have the full address of where you are staying and a phone number if possible. There are plenty of taxis outside of each airport. From Ataturk airport a taxi to most of the common tourist neighborhoods (Sultanahmet, Taksim etc) will cost under 75 lira. From Sabiha airport a taxi will be nearly double that price and take twice as long. It may not be your best option. A second option is the shuttle bus known as the Havabus. There are departures every half hour from 4am to 1am from both airports giving you plenty of options. There is a set price depending on the neighborhood you will end up in. You can find a full timetable and specifics about where the bus stops on the Havabus website. A third option is booking a private shuttle. I have also done this when other options aren’t available. I find that sometimes this is the easiest option when I’m traveling with my kids as I don’t need to worry about holding up anyone else. We can take our time and get settled. I often use Blacklane when we’re traveling. It’s a little more expensive but I have found the drivers are ALWAYS there, the vehicles are in great condition and everything goes smoothly. What money do they use in Turkey? The currency in Turkey is the Turkish lira. In most cases you’ll want to have cash on hand. While cards are widely accept in larger establishments we found that cash still reigns as the king here. You’ll want small bills and coins whenever possible. You may find that when making large purchases (say a Turkish carpet?) the vendor may be willing to accept dollars or euros but in most cases lira are the only currency accepted. I always find the safety question a bit puzzling. There is nowhere in the world that is truly safe. Turkey has faced a lot of issues in recent years and continues to with conflict in neighboring Syria. That being said I never once felt unsafe. There is a police presence and active security measures. Crime does happen; Istanbul is a city of over 15 million people. Expect pickpocketing, hustling and other crime as you would find in cities of this size. When I went to Istanbul I went alone and traveled throughout the city alone. I never once felt unsafe, faced any unwanted advances, or had anything negative happen. Everything was straightforward and easy to manage. My experience may not be yours but as a woman traveling alone I felt perfectly safe. What language do they speak in Istanbul? The language of Turkey is Turkish. They do not speak Arabic as some people think. You may find many people that DO speak some or fluent Arabic. You also may discover that due to the large numbers of refugees there are a lot more Syrians who speak Arabic. Many Turks, especially younger Turks speak English semi to completely fluently. As with any cosmopolitan city there are people from all over the world here so no matter what your language you have a good chance of finding someone who can communicate with you. How easy is it to get to other parts of Turkey from Istanbul? Easy! You can fly to a lot of other areas of Turkey on the numerous domestic flights. There are countless day trips that depart from Istanbul regularly and you can also use the rail system to get around the country. Where should I stay in Istanbul? That’s a tough one! Keep reading to discover some of Istanbul’s neighborhoods you may want to consider to stay in. In every city there is a certain area known as the “tourist center,” and in Istanbul that’s Sultanahmet. While you won’t get a feel for what the city really is if you only stay here, you can’t skip over it completely when you visit. The blue mosque was built in the early 1600’s and is still used as a mosque today though is open to Muslims and non-Muslims. There is no entrance fee but non-Muslims are not allowed to enter during prayer times. Please also take care to dress appropriately. Men should wear longer shorts or pants if possible and shirts with sleeves. Women should wear longer skirts or pants as well as a scarf to cover their hair (available at the mosque for no charge). Even if you don’t go inside the mosque the exterior and interior courtyard are beautiful. At night it’s illuminated as well giving it a completely different feel. I have read and heard so many negative things about the grand bazaar and truthfully shopping was nowhere on my radar when we were in Istanbul. But, all things being equal I went to see what it was all about. I can see how people very easily get overwhelmed and frustrated when they visit. There are lots of intersecting roads full of shops of all varieties of souvenirs and things for sale. There’s also lots of pushy salesmen. But, I’m used to this and really didn’t find it as bad as other people have said. Best advice? Go later at night, before they begin to close as there are fewer people to deal with and you’ll be better able to just walk and look. If you decide there’s only one tourist site you want to see in Istanbul make it this. We were a little put off by the high admission price (around $13 per person) but in the end were glad we did go. It’s truly breath taking. There was some restoration work happening, meaning there was a large scaffold in the middle of the building. I am sure when it is removed it is even more beautiful. This is no longer an operating religious building, it’s a museum. Seeing the historical progression of the building is worth paying attention to. Get your tickets ahead of time if possible or go later in the afternoon for smaller crowds – most tour groups go in the morning. Across the street from the Hagia Sophia is the Basilica Cistern. There are actually hundreds of these under Istanbul but this is the largest and open to the public. It was constructed in the 6th century and the cistern could hold up to 100,000 tons of water. Just the bottom of the cistern holds water now and it’s crisscrossed with walkways. To be honest I was underwhelmed and a little creeped out. I can’t put my finger on exactly what made me uncomfortable but it certainly was there. It’s interesting to see if you’ve got some extra time and cash but don’t put it on your must do. This palace dates from the mid-15th century and marks when the city returned to Muslim control after being the capital of the Byzantine Empire. The palace moved in and out of prominence. After the fall of the Ottoman Empire in 1923 it was turned into a museum. White it is expansive with hundreds of rooms not all of the building is accessible to the palace; but what you can see is quite impressive. Eating in this neighborhood is not easy. There are A LOT of touristy restaurants and you’ll be able to tell by looking at the clients and the prices on the menus. Truthfully you may want to get out of the neighborhood completely to find authentic and delicious Turkish food BUT there were two places that we went and did enjoy. Tarihi Halk Koftecisi is a family run restaurant on the main street of Sultanahmet. They make kefta (surprise surprise) with salads and a few other options. It’s very simple but very very good. Cafe Mesale. MarocBaba and I found this one night after walking and walking trying to find something really great. I don’t know if I would say it was the best meal I’ve ever had but it was good. There were mostly other Turkish families around so it seemed to be a good option. Coupled with live music and a dervish performing during the evening it made for a fun night. Get a seat near the front if you can. We were very fortunate to have stayed in a lovely small hotel in the heart of Sultanahmet. The World Heritage Hotel is small but what it lacks in size it makes up for in hospitality. There was no request too big and the staff was always exceptionally helpful. The breakfast is truly wonderful with things like homemade bourek and loads of other options. They offered complimentary wifi and you could have anything you wanted from the minibar (non-alcoholic drinks) for free. In the downstairs reception tea, coffee, and homemade baked treats were always available. It was much more like being a guest in someone’s home than at a hotel. Want to see all the highlights of Istanbul plus have your hotel transfer taken care of? For the traveler that wants convenience this is the way to go. Choose from a 3 day or 7 day pass with skip the line access, hop-on-hop off bus passes and a lot more! If you want to hit all the highlights of Sultanahmet in one day with the help of a guide than this is a great tour to consider. 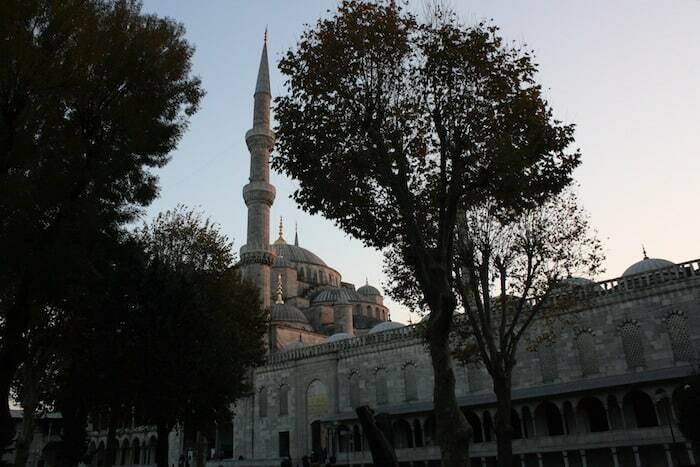 Visit the Hagia Sophia, Blue Mosque, Topkapi Palace, Bascilica Cistern, Grand Bazaar AND have a 3-course Turkish meal! One of the most iconic things to see in Istanbul are the whirling dervishes. Secure tickets ahead of time for the performance at the Hodjapasha Dance Theater with a live orchestra. An on-site bar with drinks and snacks is also available for before and after the show. Hidden in the spice market, near the best konnafa in Istanbul is a small, slightly hidden mosque. Locals know where it is and the adventurous tourist will seek it out. Rustem Pacha is not as famous as the Blue Mosque or Hagia Sophia but what it lacks in stature it makes up for in style. From the moment we walked in I was in love. On the first visit I just saw the outside, the second time I went in. What makes this mosque different? 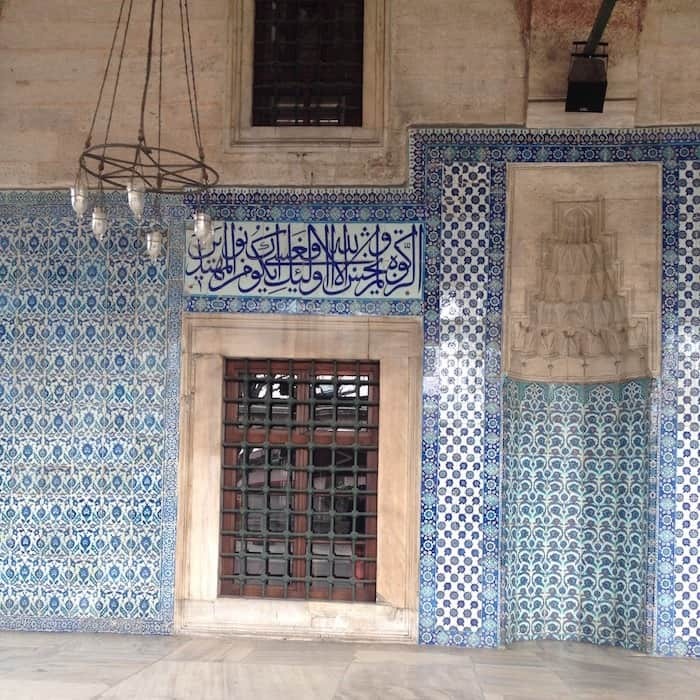 Visitors will immediately notice the blue iznik tiles everywhere. Rustem Pacha was built in the mid-1500’s for Rustem Pacha, the husband of one of Suleiman the Magnficients daughters. There are over 80 different tile patterns and styles found in the mosque – you could spend all day just searching out the different patterns! Inside the visitors door is a huge arch covered in tiles. The bright red rug contrasts with the blue. A mixture of warm and cold tones that somehow just works. Iznik tile is one of the great artistic achievements and mysteries of the Ottoman Empire. They date to the 15th and 16th century but as the empire collapsed so did the knowledge and process of making them. While the tiles survived the skills to make them were lost until the end of the 20th century when artisans, scientists and researchers joined forces to bring the art back to life. The dropped lighting once used candles to illuminate the mosque but modern lighting is now standard. The tile dome means the mosque also has great acoustics and sound easily fills the space. It’s a little difficult to find the mosque however if you get to the general area and begin asking around most people should be able to point you in the right direction. 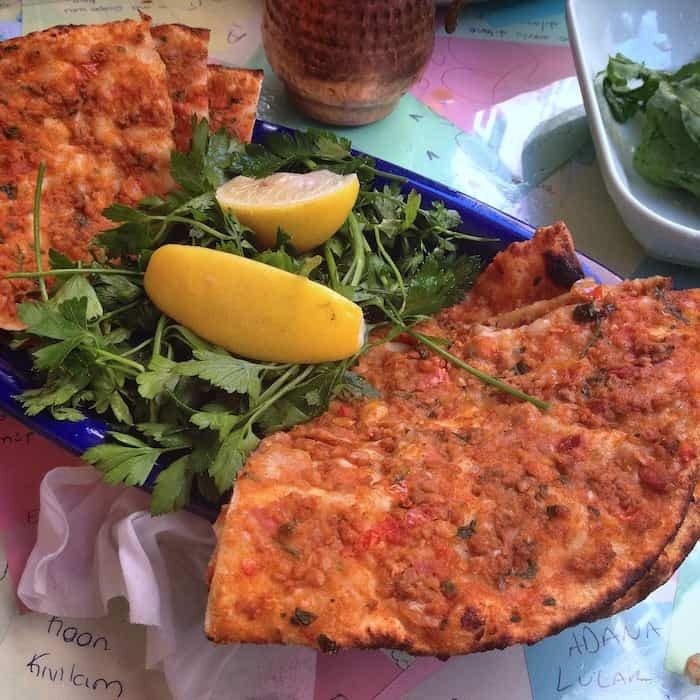 Head to the Fatih neighborhood, near the spice souk and start asking! Whenever someone mentions the name of a city or country there’s a good chance I say, “oh I have a friend there!” It’s a byproduct of what I do, and it’s been one of the best outcomes of being a part of the travel world. In Istanbul it’s no different. 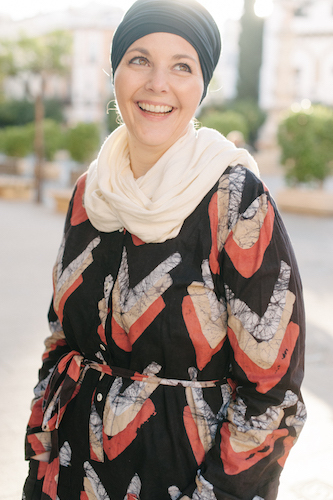 I loved having the chance to spend a day with my friend Katie exploring her neighborhood in Kadikoy. Where is Kadikoy you ask? Well, it is the hip and cool side of Istanbul. Ok maybe I’m exaggerating but after spending some time here I could see myself calling it home one day. It’s a different vibe from other parts of Istanbul (like the tourist center). There’s no shortage of shopping, eating, and historical things to see but it is more like a neighborhood than a place to check off your “must see” list. Precisely why I think it’s a must see! You can certainly book a stay somewhere on this side of the city but I was staying at the W Istanbul in the Besiktas neighborhood. 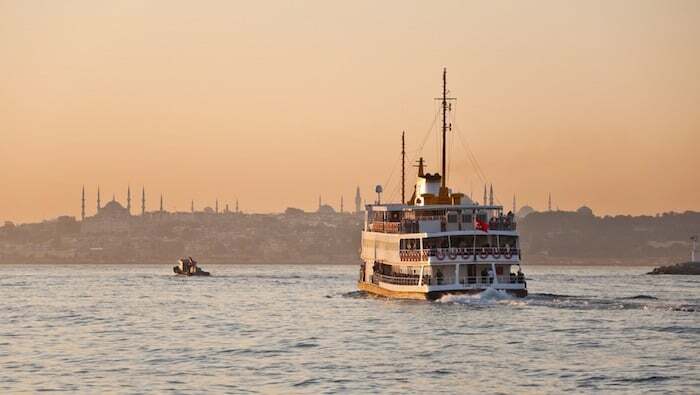 Getting to Kadikoy was simple – just hop on the ferries that run the Bosporous all day long. Not only is it is easy, it’s affordable. Grab an Istanbul Card from any newspaper kiosk and add some money to it. The ferry is under 3 lira each way. There’s very regular departures so you won’t have to wait long. Swipe your card, wait for the ferry to dock and jump on. The ride takes about a half hour but it’s comfortable – you can even get snacks. But I didn’t need snacks because the best breakfast ever was waiting for me on the other side — and Katie too! Katie and I walked along the Bosporous and chatted, working up our appetites until we got to Naga Putrika, aka the best breakfast in Istanbul. Turks know how to do breakfast it’s no small affair. This cute restaurant is small and packed on weekend mornings so come before 10am. Everything is local and organic. It’s beautifully prepared and served. It’s also delicious! 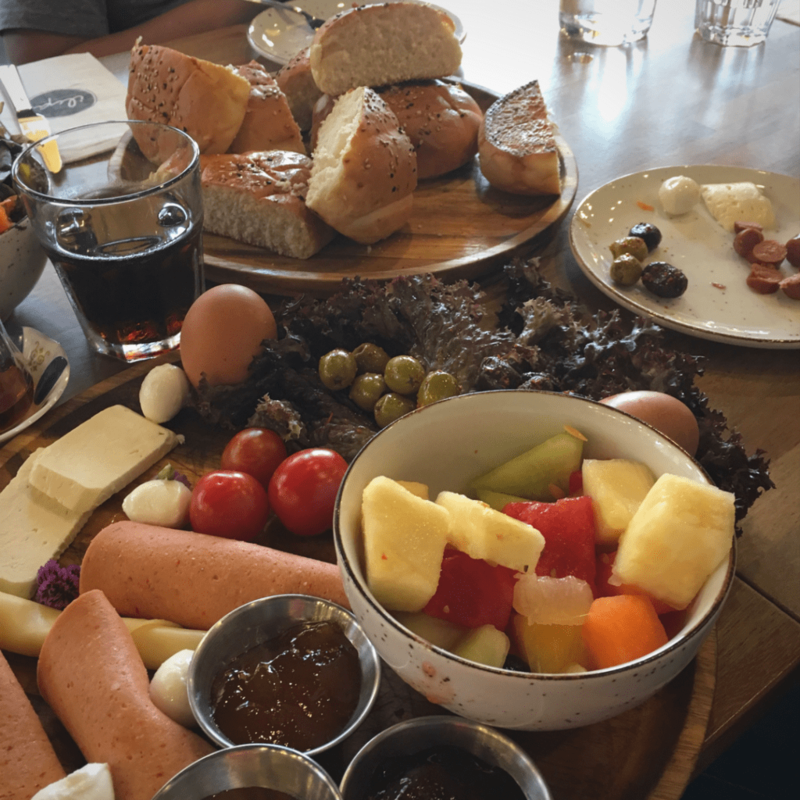 From cheeses and kaymak (clotted cream) to sweet honey and sausages with some eggs and plenty of bread thrown in there was no shortage of options. Let’s just say I ate it all and I am not ashamed of that. I still dream of it. For the best breakfast and a great place to enjoy a long conversation with a friend make this part of your plan. We roamed the streets looking in little shops and watching weekend life in Istanbul go by. We ducked into old churches whenever we found an open door. This area has always been home to people from multiple faiths; Islam, Christianity and Judaism. There are both Greek and Armenian churches that still operate to a small population – many others were deserted after the fall of the Ottoman Empire. Kadikoy is also home to Turkey’s largest food market near the Osman Aga Mosque but if you don’t make it, don’t worry. You’ll find food shops everywhere. There’s no shortage of small stores, coffee shops, and cultural venues – way more than we could visit in a day. This area was quite run-down until the 1990’s when it began to make a come back. Today artists and young people have taken back much of the area. Rent is still affordable (in some areas), and there’s lots to do. At night many streets become overrun with Istanbul’s night scene – one that rivals any European city. We couldn’t let the day completely slip away without dinner. So we stopped at Çibalikapı (they also have another location on the European side). 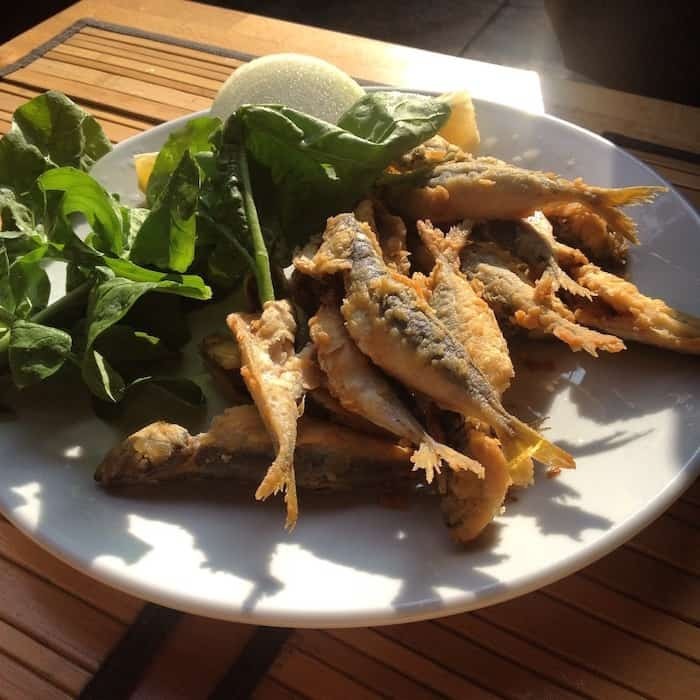 The restaurant specializes in fish but they also have daily mezze options. So of course we did mezze. There’s no menu, the waiter brings a tray that has the daily offerings and you choose as many as you want. All of them were good but my favorite was the one on the top left. It was barley in garlic olive oil with walnuts and pomegranate seeds. Simple but great! If you decide you’d like to stay on the Asian side of Istanbul there are several hotel options in the area. A boutique hotel with modern amenities and competitive rates. Includes an great breakfast buffet and a spa with a wide variety of treatments to choose from. You can’t beat the views from this modern hotel right on the Bosporous. The hotel features free WIFI, a roof terrace and an on-site Turkish hammam so that you can relax inside while exploring outside easily. In the heart of the shopping district of Kadikoy, the Hilton has everything you expect from the brand. It’s a 5 minute walk to the metro station and outlet mall. Visit markets and historical sites, take a boat ride and visit mosques and a bath house. Lunch is included with the tour in a traditional Turkish restaurant. The tour also uses public transportation giving you a great opportunity to learn how the train and boats work so that you can do it alone during your trip. This tour starts on the European side with a hotel pickup in Taksim or Sultanahmet. 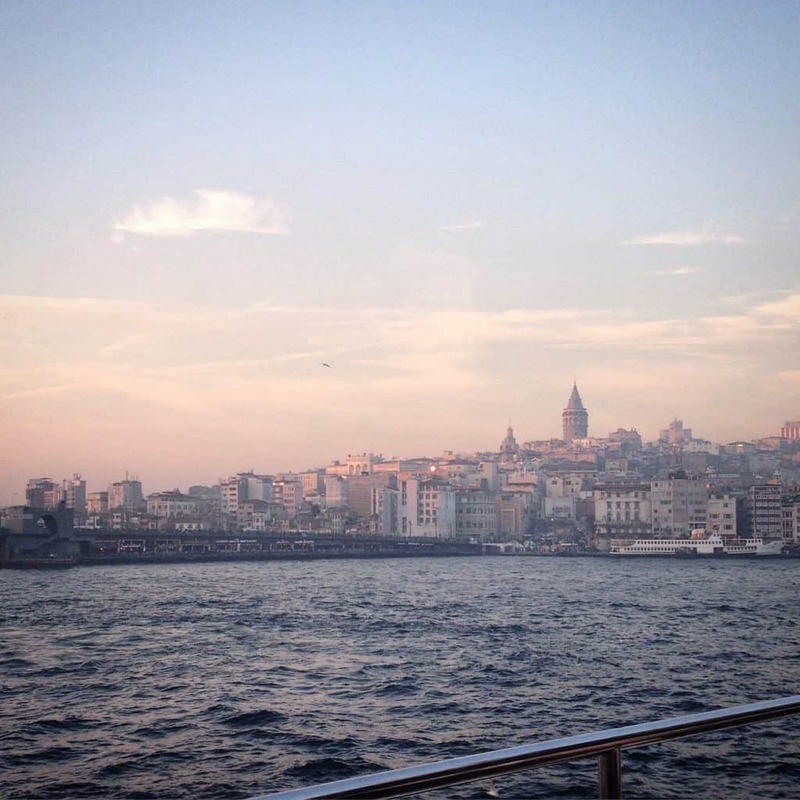 Take the ferry to Kadikoy and begin the food immersion through markets and restaurants. 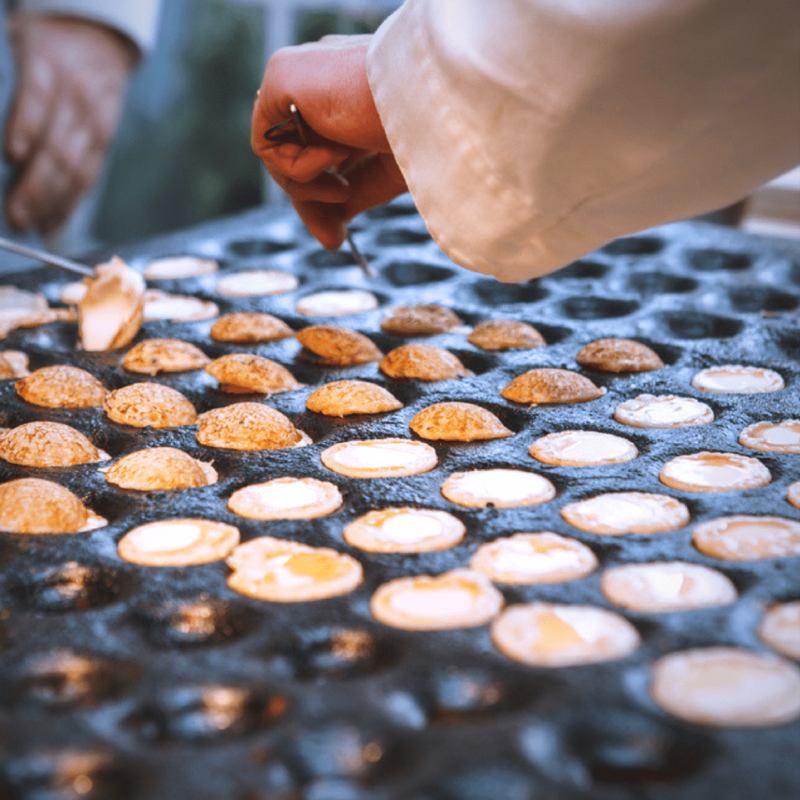 There is a mixture of savory and sweet foods offered as well as different types of traditional drinks giving you an overview of Turkish cuisine while enjoying the Kadikoy area. These two neighborhoods are next to each other on the European side of the Bosporous. This is a small area of the city but contains several important historical sites and are largely a middle class neighborhoods. In Bestikas there are several business and shopping areas as well as being the financial district of Istanbul. It has long been a busy part of the city. With very easy access to the Bosporous ferry that crosses to Kadikoy and lots of interesting sites to see it is a great neighborhood to consider staying in or visiting when you’re in Istanbul. In Beyoglu (also known by its Greek name of Pera) also encompasses the area of Galata. It is considered one of the most active art, entertainment and nightlife area of Istanbul. This part of the city was well settled by foreign residents for centuries and this can still be seen by the variety of religious buildings and trades that happen here. During the early and mid 20th century the area faced a huge downturn however in recent years it has been gentrified and become a destination again. After Topkapi this palace is one of the better known homes of the sultans of the Ottoman Empire. Similar to Topkapi the layout of the palace isn’t one giant building but a series of buildings. Guided tours lead you through the palace to see the impressive architecture and learn the history of the building and time period. The history of the Ottoman Navy is on display at this museum. There are over 20,000 items on display some of which date to the Byzantine Empire. Nearby the naval museum is the tomb of Barbarossa the great Ottoman naval commander who helped secure Ottoman control over Istanbul/Constantinople from the Byzantines. The inside of the tomb is only open on special occasions while the exterior is always visible. If the Grand Bazaar isn’t your thing head to the weekly market on Saturday’s in Besiktas where the sites and sounds are devoid of tourist hordes. Primarily a food market on the main floor with other trinkets and everyday goods to be found upstairs it’s a fun way to explore daily life in this part of the city. Yes, there’s a street in Besiktas that is full of breakfast restaurants. 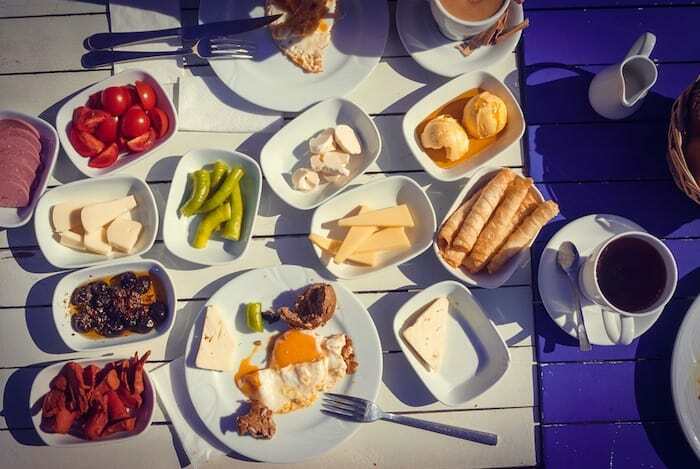 Since there is nothing better than a Turkish breakfast you will want to add this to your must-do list. There are loads of cafes on the street that serve breakfast (many all day) and they are open every day of the week, no need to just have a weekend brunch here! Plug “Beşiktaş Çelebioğlu Street” into your Google Maps and be on your way! Climb this medieval tower to get an expansive view over the city of Istanbul. You can also enjoy a meal from the tower as it is a bar and restaurant with an amazing sunset view. Turkeys’ first modern art museum has only existed since 2004 but features both international and Turkish pieces of art. They also offer workshops regularly so it’s worth looking ahead to see what may be offered when you’re in the city. There are dozens of little antique shops all over this neighborhood making it prime picking for anyone that is interested in finding unique pieces to bring home. If you’ve read Orhan Pamuk’s novel by the same name then you may be wondering if it’s the same thing described in the book. It is. The museum is inside a 19th century home and the artifacts highlight upper class life in Turkey of that time period. If you haven’t read the novel, you should before you go. Famous of late due as it was the kicking off point of protests in Turkey during the Arab Spring but things have calmed down since this time. It’s largely a shopping area with cafes and street musicians. This is a major thoroughfare lined with shops and restaurants. It also has some interesting things off on the side streets to see. The Flower Passage, Fish Market, and several different churches including Greek Orthodox, Armenian, and Roman Catholic. Walking the street you’ll see architecture that dates from multiple different time periods – proving it really is a walk through history. One of the foods you have to eat in Istanbul is manti. These are bite sized raviolis filled with meat. The “sauce” is yogurt that often has chili or other flavors infused. They have other things here too but seriously just get the manti and thank me later. I can’t tell you the name for these but you will see them all over and I ate at a few in Besiktas that were great. Typically these are restaurants where only Turks are eating. The concept is just like school lunch, go in choose what you want, go to the cashier and pay. It’s simple food and quite traditional but every time I’ve tried it’s been really good! A five-star luxury hotel right on the Bosporous with a price point that won’t make your wallet hurt. Enjoy the swimming pool, spa and green space as well as great dining options if you’d rather eat in instead of going out. This hotel offers the convenience of a short walk to the attractions in the area including Taksim Square and Dolmabahce Palace. The tram station is also nearby making it accessible if you plan to use public transportation. A historic, luxury hotel that will take you back to the grandiose times of Istanbul. Enjoy their Turkish hammam, tea lounge and visit the Ataturk Museum Room where the once leader of Turkey stayed many times. Enjoy a four hour tour plus an additional hour boat cruise on the Bosporous. The guided tour of Dolmabahce brings the site and it’s history to life while the boat trip allows you to see several other historical sites along the water. Led by an art expert you’ll discover the modern art side of the city by visiting galleries and learning about the modern art movement in Turkey along the way. The tour group is limited to 15 so you can have more intimate experience. This is the longest food tour I’ve taken, and quite possibly the best.It has a tour length of 6 1/2 hours. Yes my friends that’s over 6 hours of walking and eating. I know to some it sounds like overwhelm but to me, someone who can think of nothing better than spending an entire day learning about a city and eating the best food in Istanbul this was a thing of dreams. It also lived up to every expectation I had. Finding the best food in Istanbul is not easy. Not because there’s a lack of good food but because there’s so much! I’m convinced that anyone who says they didn’t eat well in Istanbul simply didn’t try. We started the tour early at 9:30am and set out to uncover a tea shop hidden away in one of the old workshops. Here our guide brought us a typical Turkish breakfast of smit (the bread with sesame seeds), a white cheese and herbs preserved in olive oil. Simple, refreshing and delicious. But then the ante was upped and we ventured just off the Galatasaray Bridge to a restaurant that was completely non-descript from the outside. Little did we know inside we would find a family who has made breakfast their mission for decades. They are so dedicated to what they do they not only have the restaurant but produce much of the food on offer. They make kaymak from buffalo milk as well as buffalo sausages and cured meats. It was here I learned what Turkish breakfast was all about. This was only the beginning of what would be much, much more. From breakfast we jumped on the ferry to Kadikoy. We sipped Turkish coffees and salep while learning about the important role it plays in Turkish culture. One thing I’ve learned on my travels is that countries like to claim certain things. For example I couldn’t help but remember drinking Turkish coffee in Bulgaria where they too claim it as part of their own culture. We visited a Greek Orthodox church and wandered through the busy market where there were so many foods on offer. We settled down at a delicatessen to try a mixed variety of mezze including fried anchovies and a whole host of vegetable based dishes. In the pickled shop we of course had pickles but also turnip juice and a wide range of other pickled goodies. Who knew that was a thing in Turkey? We nibbled on nuts and dried fruits and then it was time for lunch. You might not believe me but there really was much more food than this! There were several other stops where we had a bite of this or that. The last two stops included a “nightlife” specialty and some more traditional Turkish dishes that are going a bit out of style. By the time we boarded the ferry to go back to our hotel we were quite full but very happy. I don’t want to give away all of the food and surprises that you’ll discover on this tour and know they do offer shorter tours if spending the day eating is not as appealing to you as it is to me! Our guide was excellent, the food was top notch and we saw a lot of the city along the way. While you will see the price is a bit on the higher side it includes everything (all the food) and the guide. I think it’s a steal! If you’re unfamiliar with Context they provide tours in dozens of cities around the world with different themes – I’ve rarely found the range of options they have – all led by docents and professionals who really know what they’re talking about. So, when we met our guide the morning of our second day in Istanbul, I couldn’t wait to see what desserts would come our way. One of the added benefits for this tour was that we all knew each other so there wasn’t any of the sometimes awkwardness that happens on a group tour. We were laughing from the first bite. I know what you’re thinking, how many desserts can there possibly be? I think this is a good time to stop and reflect on which desserts would you choose to represent your own culture? I was thinking about it a lot during our time eating and walking. Could I even put together enough dessert options – in Turkey there is! This wasn’t all about the food, we learned a lot about food and sweets in Turkey as well as the places we were passing and the history of the city. Istanbul was a melting pot before the United States even existed. It’s one of the most interesting parts of the cities history. But that isn’t to say it was all unicorns and rainbows. No, quite the opposite. There’s also a dark and very brutal side to Turkish history. I won’t name all of the places we stopped – you’ll have to check out the tour when you’re in Istanbul but feast your eyes on what you can expect. Istanbul’s equivalent of a high street is dotted with hundreds of shops – including many for turkish delight or lokum. There are plenty of traditional flavors. I am completely addicted to it and I’m sure it won’t take you long to feel the same way. The texture is unique but as we learned, good Turkish delight doesn’t burn your throat or stick in your teeth. You’ll also quickly discover most cups of Turkish coffee are delivered with a piece or two of lokum. We tried both the traditional version of lokum and stopped at a more specialty coffee shop that had lokum you could personalize. There is both a jelly version and milky version. We were able to choose what flavors we wanted inside. I chose nutella, hazelnuts and pomegrantes. We also had one with rose and pistachio. This shop is one of my favorite treats and I beelined for it on my second trip to Istanbul. Asure on the other hand wasn’t the sweet dessert I was expecting. It’s also known as Noah’s Ark Pudding but I really didn’t think of it as a pudding either. This is one of the very few Turkish desserts with no animal products (it’s naturally vegan). The base is a thick porridge and the rest is dependent on the family and region. It can have ingredients such as wheat, rice, sugar, nuts, dried fruits, beans and chickpeas and be flavored things like lemon and orange peel. Turks take coffee seriously. There’s no sissy coffee here, it’s dark, thick, and full strength. You can order it sweetened or unsweetened (I suggest the later) and it’s better to order it that way than to try and sweeten it on your own. You’ll understand why after you get your first cup. I really like it but can see how others don’t view it as affectionately. Afterwards if you’re with a local she may be able to tell your fortune in the cup. Any guesses what’s coming my way? There is one shop in Istanbul that is THE best known for baklava, but also has many different types of dessert including Turkish ice cream. 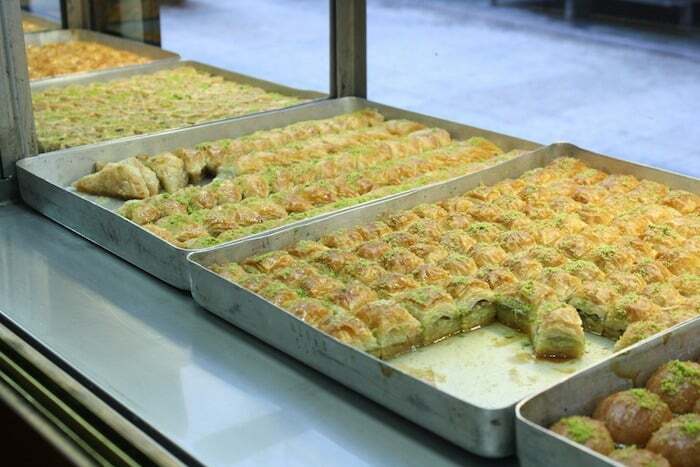 The baklava is, to put it mildly, a treat. We had ours topped with cream and while it’s certainly rich, I dare you to stop at just one piece – you can’t! We later went back and also tried ice cream here. It’s really unique as it is made with a special local syrup that gives it a texture I’ve never experienced in ice cream. MarocBaba liked it but the texture was just too different for me. The final stop on our tour was something I had heard about when I first started looking at food in Turkey. This is a very unique dish that was created during Ottoman times. It’s exactly the type of dish they were best known for. It comes in two versions; caramelized and regular. The texture initially is like flan, maybe slightly firmer but there’s a stringy texture to it. The taste is sweet and while you’re trying to figure out what it is you realize you can’t place it. I’ll help – it’s chicken breast. Yes, a pudding made with chicken. It tastes nothing like chicken and if no one told you, you probably would never guess. The meat is cooked an incredibly long time until just the threads are left and then cooked into the pudding. 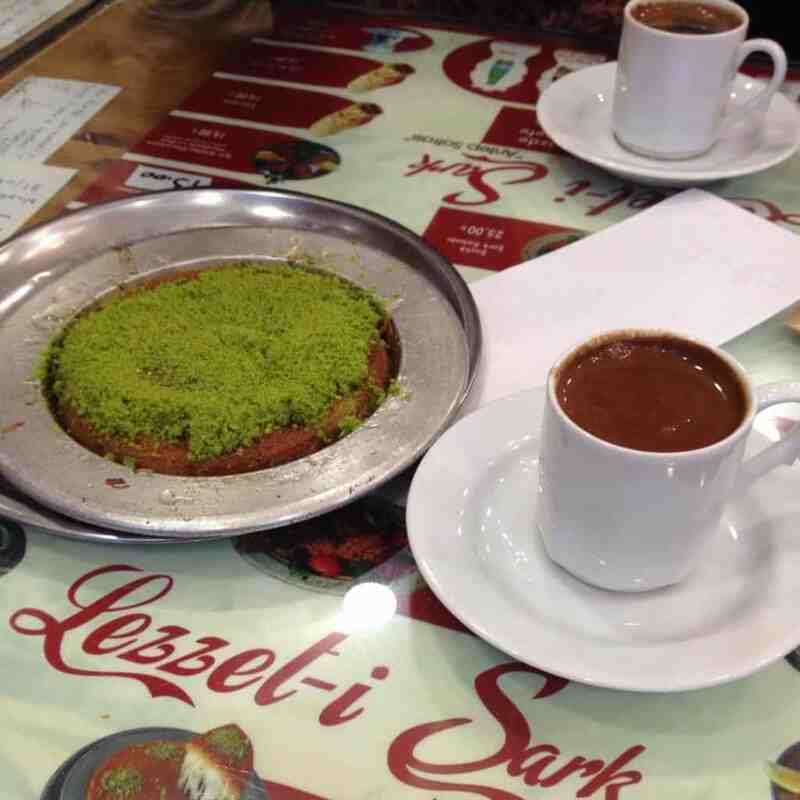 If you love dessert and you’re in Istanbul I recommend checking out this tour. It’s really unique and a great way to learn about this side of Turkish cuisine and history. Find and book this tour and many others from Context Tours. There’s no dress code in Turkey and you will see a really wide range of styles and clothing. While Turkey is an Islamic country, Istanbul is a modern city so don’t worry too much about covering up (or not). You likely will need to be more aware of what you pack depending on the time of year you are visiting. a raincoat in the fall or spring – I travel with this NorthFace raincoat everywhere and it’s great. Waterproof shoes during the rainy season. a warm jacket if you’ll be visiting in winter – it does get cold! a cross-body bag to carry your belongings. Good walking shoes. Istanbul is not flat so you may be climbing hills! There are many different parts of Turkey that are accessible on day trips or two day trips from Istanbul making it really convenient to use the city as your base and explore. I’m sharing three destinations that are worth visiting if you’ll be in the area. Yes, you can visit Cappadocia in one, long day. This trip includes flights from Istanbul to Cappadocia where you will explore the caves and learn about the aptly named rose valley. The tour also stops in Ortahisar where you can see the homes and churches and then wander the tunnels of Kaymakli Underground City where Christians once hid from persecution. Lunch, flights, admissions, and transfers are all included in the tour price. If you love history and Greek mythology than this may be the perfect daytrip for you. Pickup is from your hotel where you then drive to the city of Eceabet. During the drive there is a stop for breakfast (your expense) or eat before your departure. In Eceabet a seafood lunch is provided before getting on the ferry that will take you Canakkale and the ruins of Troy. Your guide will bring the story of Troy to life in a one hour walking tour. It is worth noting much of this trip is driving to and from the site. If you are familiar with this infamous WWI battle or not this trip will bring the story and the battle to life. Drive from Istanbul to Gallipoli where you will visit several of the different battlefields and memorials of Australian, New Zealand, and Turkish forces. Afterwards lunch is included as well as passing by a few additional sites by vehicle before heading back to Istanbul. This trip also will take a full day with quite a bit of riding and may be less interesting for young children. It’s time to take your children skiing! There’s no better place to consider for ski holidays in Europe than the wonderful country of Austria! It has a long history of being a great destination for skiers of all levels making it a great choice for families. 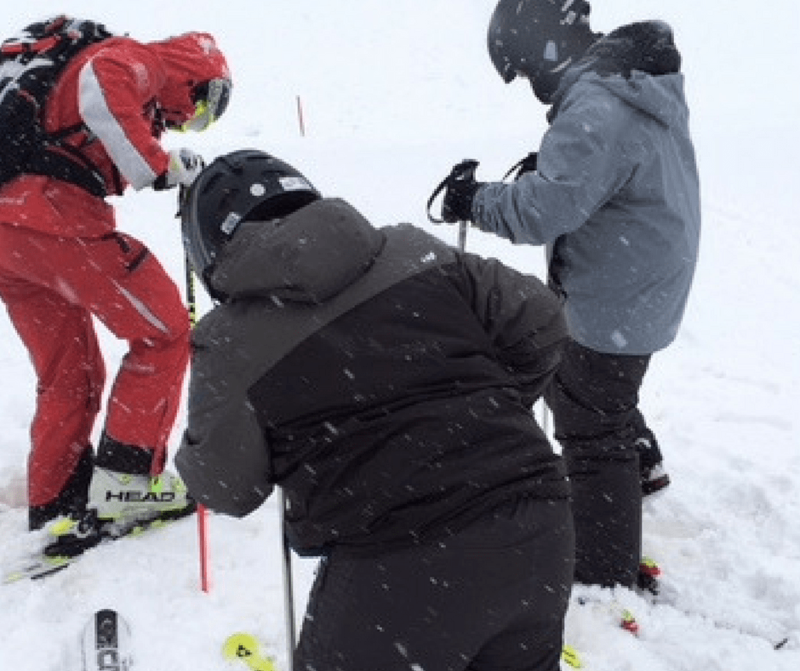 Whether you’ve never skied before or you’re veterans, here are some things I think you should consider before you book your next ski holiday. What ski level is your family? This is a big question you should be asking because not all ski resorts are great for everyone. If you’re advanced then you’ll be bored with hills that are for beginners and intermediate. Head to a resort that has giant slopes and you might just scare your kids away from the sport. So how do you find the best Austrian ski resorts for your ski level? First, take a think over some of the other questions. This will help narrow your search area. Then, begin to look at the remaining options. Are there plenty of blue hills signifying it’s a great ski resort for beginners? Do they offer a ski school if your kids need a little extra help? Or, are there lots of intermediate or black diamond hills and terrain parks for more advanced skiers or snowboarders. Taking the time to really look through the options available will make your time on the hill once you arrive more enjoyable. At Austrian ski resorts we found that most of the staff were at least bilingual (German/English) BUT, we also found getting around in the mountain villages was a little harder. Not as many everyday people spoke English as we had expected. This isn’t insurmountable but it is something to keep in mind. Thankfully we also speak some German and French so we were able to bridge that gap. When you’re looking for the best ski resort for your family dig into which languages are spoken at the resort as well as doing a little extra research to see what you can find about the surrounding area. Of course, learning a bit of German is always a good idea too! Where in the country should you look? 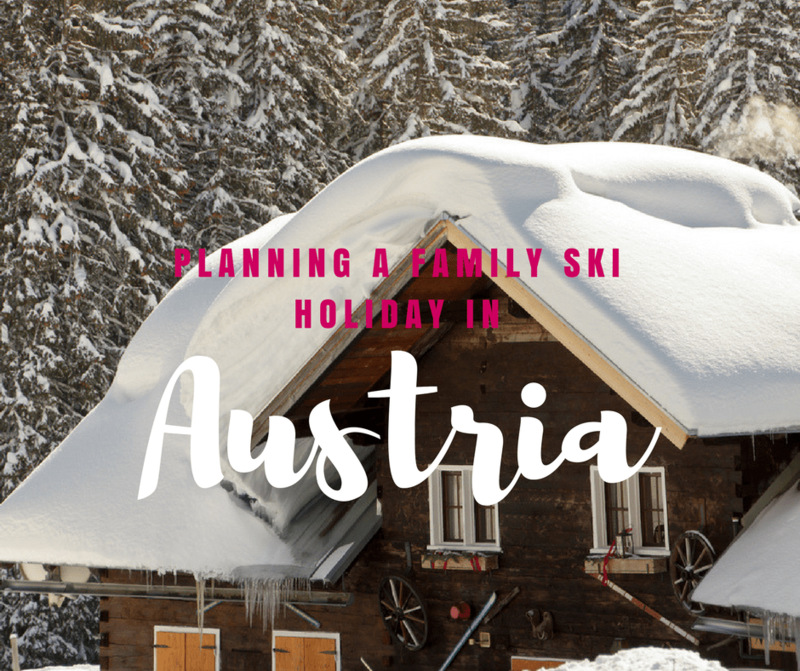 Finding the best family ski resorts in Austria means looking across the country because there are a lot of options! 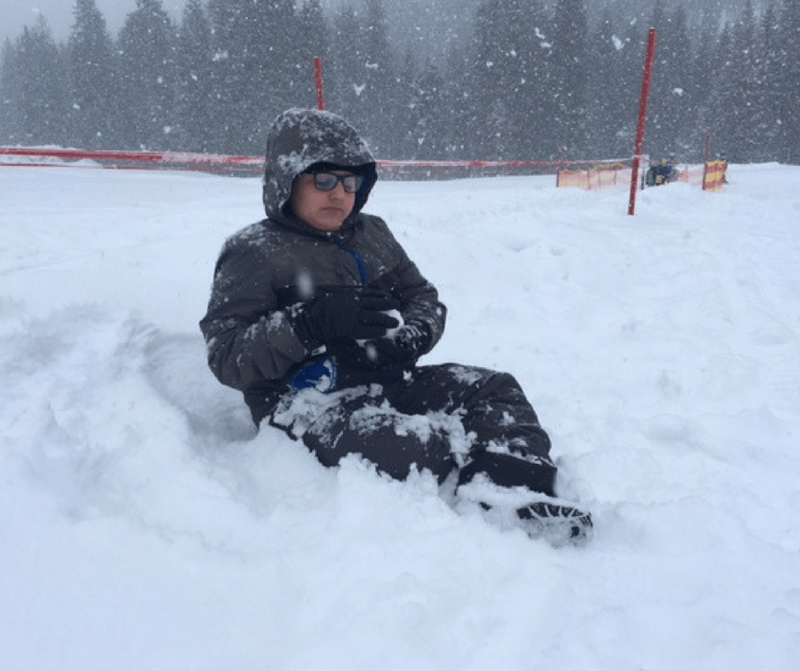 For our ski holiday we went to Vorarlberg and learned that the Bregenzerwald region where we spent a few days is one of the snowiest regions of Austria. It’s location in the northern Alps means that it has an above average snow fall. We skied at Damuls which has even earned the title “the world’s village most assured of snow!” The worst thing that could happen on your planned ski holiday is to turn up and realize there’s not enough snow. Innsbruck has global fame as a ski destination making it another location a lot of people consider. The area surrounding Lech is yet another area that is extremely popular and has the title of the “cradle of Alpine skiing.” Not only is it popular for everyday skiers but also royalty – it was a favorite ski destination for Princess Diana. The best Austria ski resort doesn’t exist. What does exist is finding the best resort for you and your family based on your wants, needs and budget. Austria is serviced by multiple airports but you may discover the closest airport to land in is not in Austria at all. For us there were direct flights to Munich. This was the most affordable option. We were able to rent a car and drive to Austria. Even though you won’t need a car in most cases as resorts are often serviced by buses we were VERY happy to have one. It let us explore more and at our own pace instead of waiting for the bus to take us where we wanted to go – or walking. You may also choose to fly into a closer airport. I had considered flying to Innsbruck instead but in the end it didn’t make sense. There are smaller airports to choose but keep in mind the costs will be much higher and you’ll still need to get to your final destination. Let’s face it this is a big question to consider. will you stay in an all-inclusive resort or self-catering option (more on this later). is there access to grocery stores or affordable restaurants nearby? are there other, affordable activities that your family can do? what discounts are available if you bundle your vacation? will you need childcare or lessons and what are the costs of this? 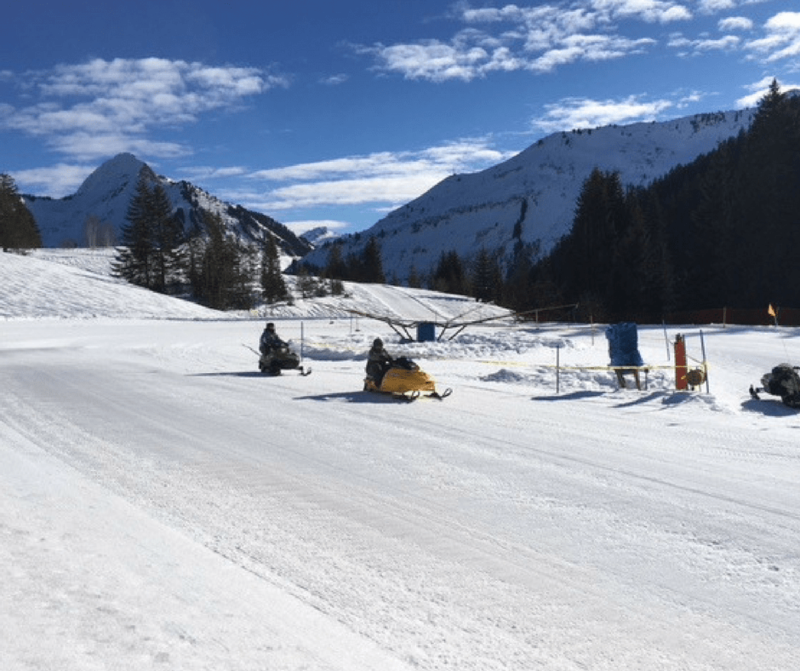 Two of the things that we discovered in Vorarlberg on our ski holiday were the option to get a multi-hill ski pass and transportation options. In Bregenzerwald there is a 3-valley ski pass that gives access to 29 different hills and the ski buses as well. Tickets can last from 2.5 days through 21 days. 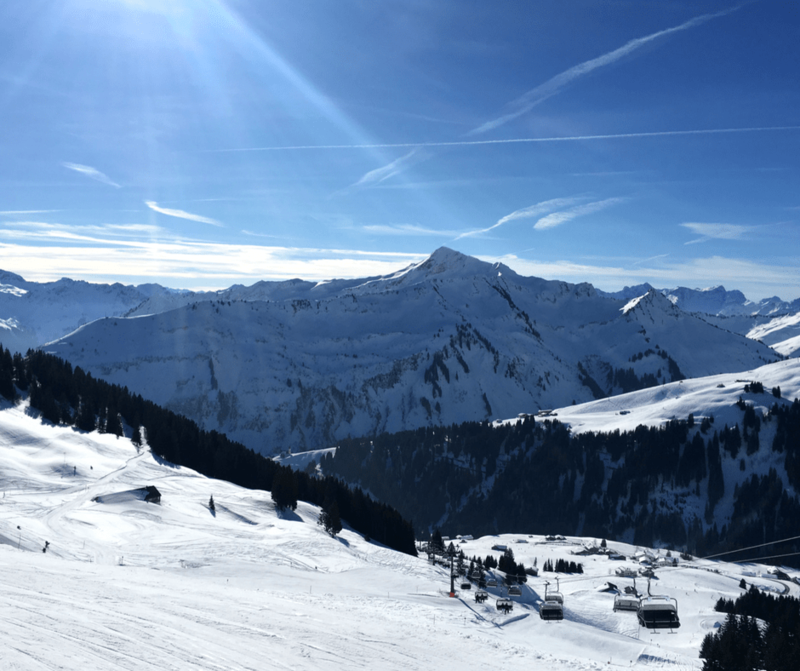 The Kleinwalsertal region also offers something similar granting access to multiple hills as well as discounts for multiple day passes such as paying for 5 days but having access for 6. Before booking, pick your top 2 or 3 areas and walk through pricing to see what it really will cost you when factoring in all costs. I would also add extra budget as when traveling with kids, costs always seem to add up more than when traveling without! What else might you like to do on holiday? When we started planning our ski holiday I had no idea how much my family would like skiing. It was their first time and while I would be happy to ski all day, every day they might not. So if we would have gone somewhere that skiing was the only option and they hated it? Well it would have made for a really long and boring vacation. Après-ski (literally “after ski” in French) is the name used for social activity (though often also refers to having a few drinks at the ski lodge). Seeking out the après-ski options is a good start to your research. Thankfully there are plenty of things to do with kids in Austria! Even (and maybe more so) during winter months. There were multiple activities happening at the ski hill and in the village that could be joined. In Damüls we went tobaggoning as well as having the option to do a guided lantern night hike.We also visited the local ski museum. Horse drawn carriage rides as well as musical and cultural events are also available. Likewise when we went to Riezlern in Kleinwalsertal there was a LOT to do (the city and nearby villages were also a bit larger). Not only does this region have great food but there were over 50km of trails available for winter hiking, much of which was suitable for kids. Dog sled rides, snowbiking, tobogganing and snowshoeing are a few outdoor activities you could do. One more thing to keep in mind when looking at activities is which locations offer ski holidays with childcare. You may or may not need this. Some resorts offer it for children as young as under 2 while others require children to be 3+ and/or potty trained. Depending on the ages of your children, this is something to be considered. When will you take your Austrian ski holiday? 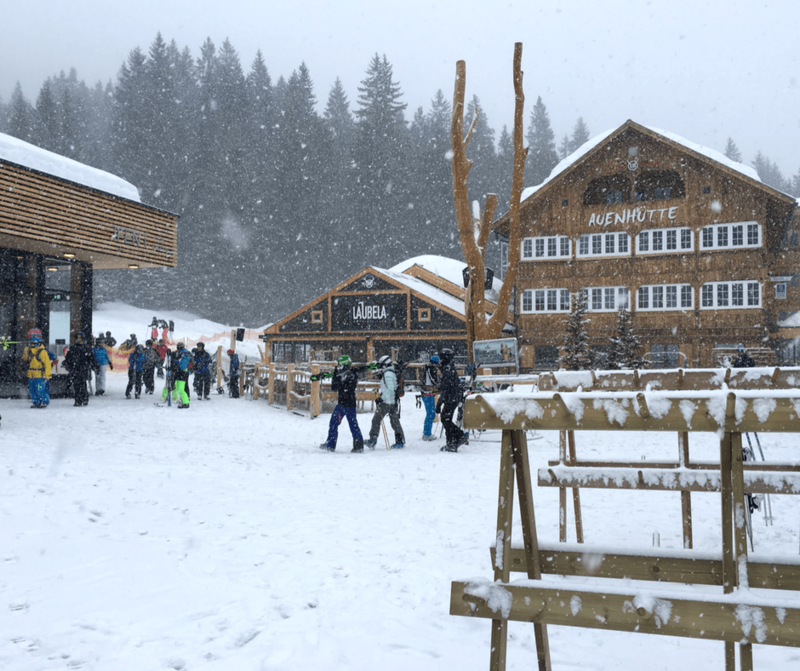 It’s probably no surprise that the peak seasons for skiing in Austria are around Christmas and New Year’s holidays as well as around children’s school holidays like the February half term. Most resorts open around the end of November and close in mid-April. The later you go in the year the more risk you have of poor ski conditions but you also will have warmer weather, longer days and fewer crowds. 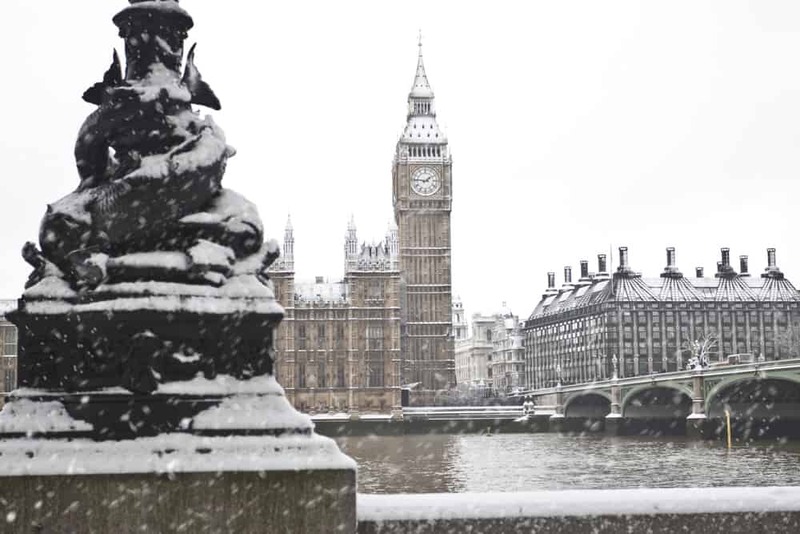 January is another good time of year to go, even though the weather can be quite cold. If you do opt to go in March or April look for resorts that are above 2000 meters where the snow is more likely to still be good. Planning your trip during off-peak seasons can also save you quite a bit of money both on lift tickets and accommodations as most places have different rates for these times of year. If you can’t avoid going during school holidays then the best idea is to plan as far in advance as possible to book the most affordable transportation and accommodation. You also could look into special package deals for families to help with costs. Do you want an all-inclusive holiday or self catering or something in-between? There are several different options when booking your holiday. An all inclusive ski holiday means a lot less work for everyone. No need to worry about meals (or the cost of them) or anything else. While these can seem expensive up-front factor in your food costs. I know for example, when traveling with our teen boys we rarely can eat a meal for under 50€. Just the cost of food adds up quick! When doing your budgeting don’t forget to include this. If all-inclusive seems just a little too out of your budget then a self-catering apartment might be a better fit. We really like this option for longer stays because it gives us a place to settle in. Typically, I only consider an apartment if we’re staying a minimum of three nights otherwise it’s just too much hassle. 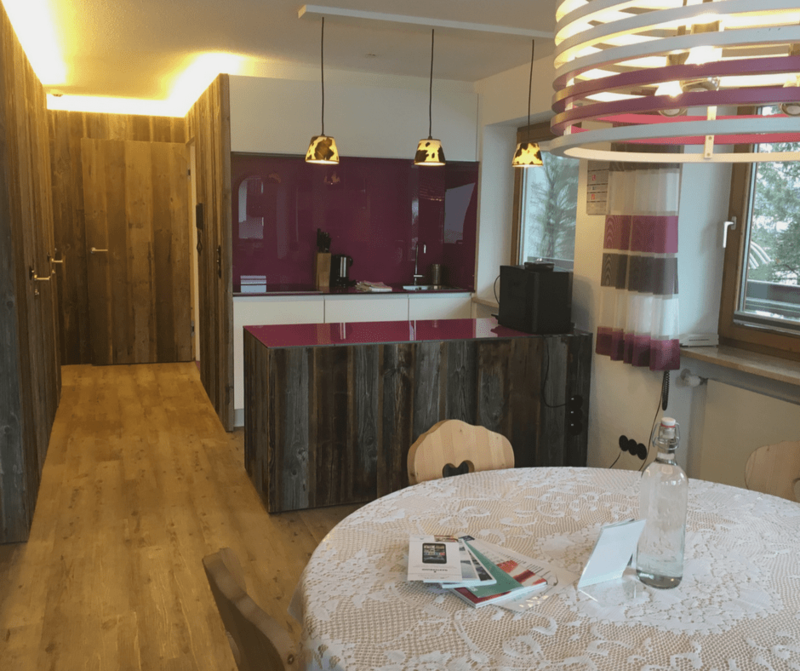 In Damüls we had a large apartment that let us have our own room, the kids have a room, a living room and kitchen. We were able to cook our own meals and feel more at home and less crowded than we would have in a hotel. A hotel or bed and breakfast is your third option. We also stayed in what I would call a bed and breakfast in Riezlern. It was a family home where breakfast was provided each day but the rooms themselves were very much like a hotel. There were only a few rooms rented in the home and it didn’t feel like a hotel – though it had all the conveniences of one. The best of both worlds really as we could prepare our own lunch and dinner if we liked but breakfast was taken care of, there was space to park and were in a residential area. If you’re looking for a ski weekend in Austria what you are looking for will likely be much different than if you’re looking for a weeklong ski holiday. For a weekend you’ll want something with the easiest in and out as well as amenities on hand to make the most of your time. If however you’re staying for a week (or more) you have a bit more flexibility and choice when it comes to selecting. It’s really no surprise that the longer you stay the more money you’ll be able to save by extended length lift tickets, renting an apartment and cooking more of your meals. For shorter stays you just need to be more selective about the location you choose and how to maximize your time and money. No matter which Austria ski resort you end up choosing your family is in for a great winter adventure. I know this was one of our favorite experiences and my kids are already asking if we can go back next year! 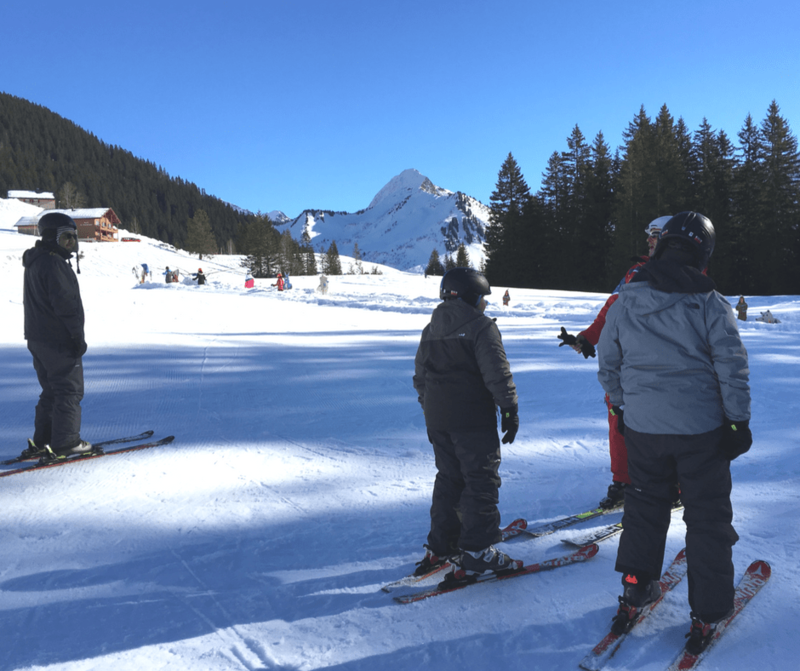 Read about our ski holiday in Vorarlberg! Skip the Cities and Head to the Mountains of Austria with Kids! The first time I strapped on a pair of skis I was so young, I don’t even remember the experience. In middle and high school, skiing was the winter activity of choice for me and my friends. One of my favorite Christmas gifts was the year I got my own set of ski equipment – it was like turning a corner, no more rentals for me! 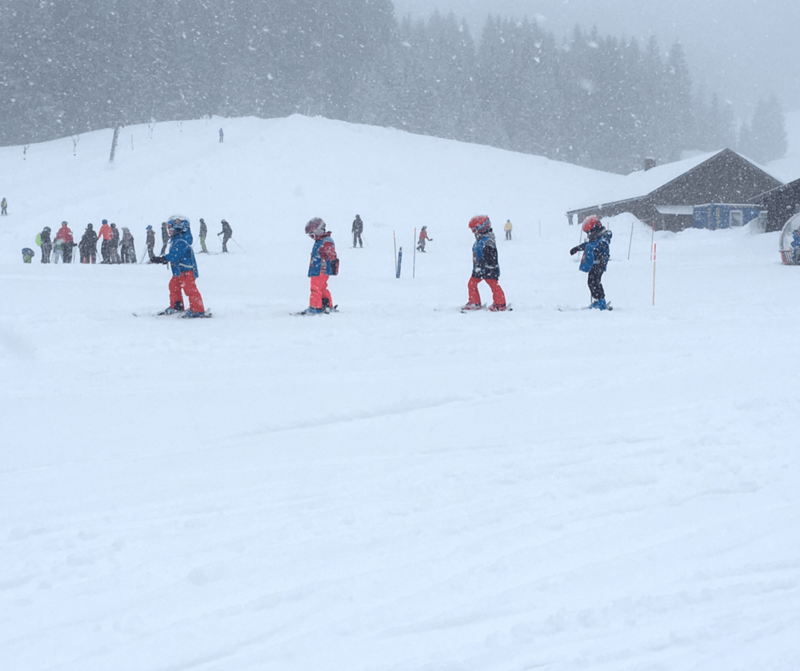 Nearly a year ago I started thinking what it would be like to ski in Austria with kids. Skiing the mountains in Austria is amazing! But, there was one problem. Neither of my kids nor my husband had ever skied before. Oops. Even though I had been skiing my whole life, when I became an adult we never lived somewhere that was close to a ski hill so it just never happened. When I reached out to the lovely people at Vorarlberg, Austria tourism they said come on up! Vorarlberg is the westernmost region of Austria, which borders Lake Constance as well as Germany, Switzerland and Lichtenstein. It’s also one of the best ski regions in Austria. 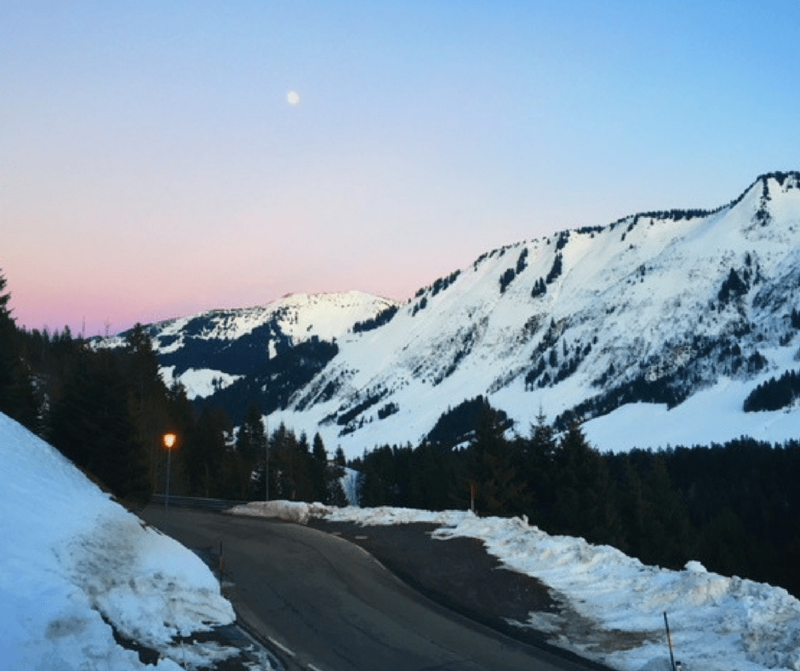 Choosing where to go in Vorarlberg was a little more difficult but with some help and guidance we narrowed it down to two areas within the region. We started our time in the Bregenzerwald region and then went to the Kleinwalswertal region. Even though they’re not so far apart they both had a different feel. We flew into Munich and then rented a car to drive to Vorarlberg. This was exciting to begin with because it was the first time either of us had driven a car in Europe! The trip took about three hours but that was with morning commuting traffic. There are several small villages in this region (including our kids favorite – Egg). 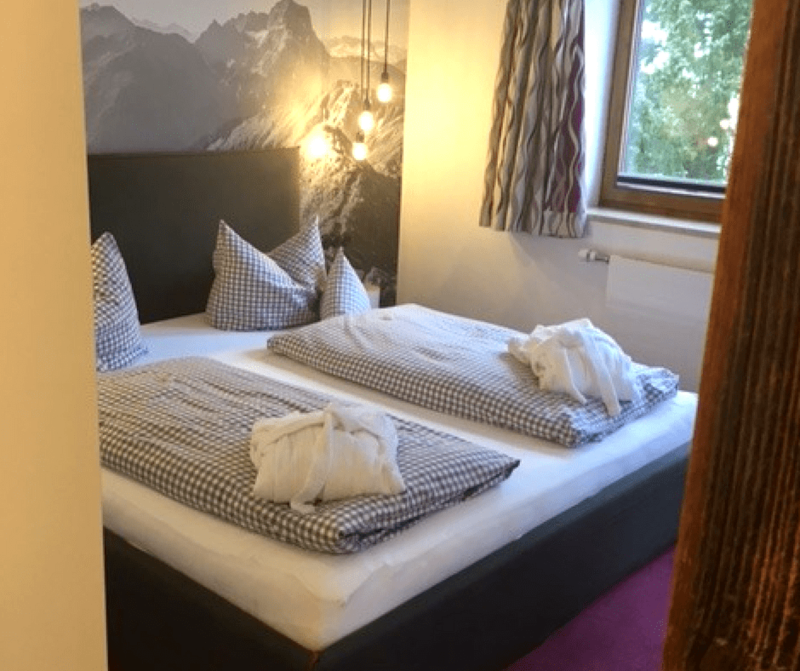 We stayed in Damüls. 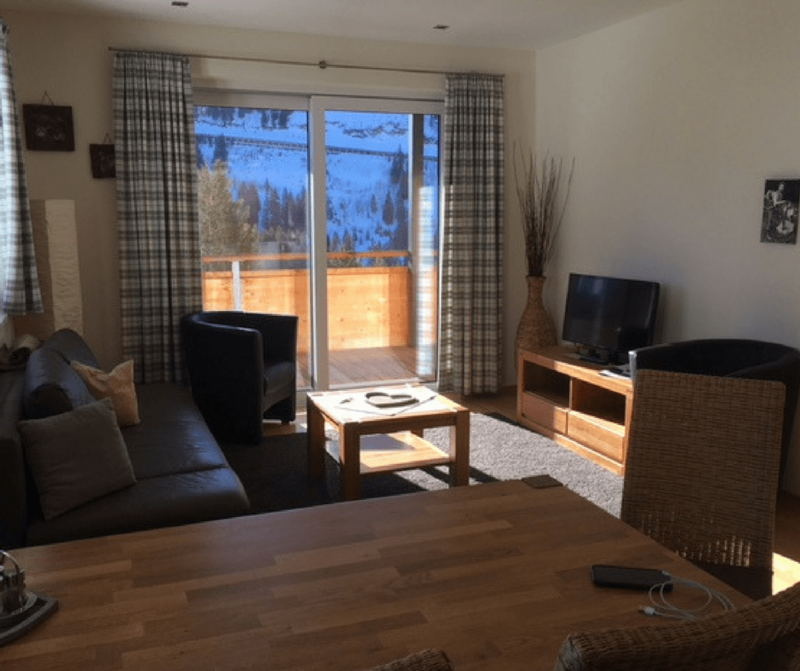 While you can stay in a hotel (there are several at the ski resorts) we stayed in an apartment. We really like doing this when we travel with the kids because it gives us a lot more space and the opportunity to make our own meals. The apartment we stayed in was the Hölderle Appartements and Ruth, the very kind lady who manages the apartments was so kind – even though we barely spoke the same language. Suffice to say the college German I learned was severely tested during this trip! One added bonus of this apartment stay was that they had a bread order form you could fill out each day and fresh bread was delivered to your door in the morning. The beds were also very comfortable, the rooms were warm and it was SO clean. Big points from this mama! But, seriously, bread delivery. I love it! On our visit to the ski museum here we learned that this village really was pretty closed off from the rest of the country for a long time. Our guide told us one story about a lady who was a ski racer in the 1930’s. She would ski down the mountain from her house, walk a few kilometers to the bus station, take the bus to a nearby village, walk to the ski hill, complete the ski race and then turn around and do it all again to go home. Thankfully there’s now direct road access connecting everything. Being that it was remote for so long it’s probably not surprising that it has some of the best skiing in Austria. Shortly after we got settled it was time to set up and get geared up for ski lesson #1. Now, the hardest part of this trip was that we had been planning it for almost a year, well before I was pregnant. I had every intention of still skiing but my doctor pretty much point blank told me no way. So I was relegated to the sidelines. The boys all got fitted for their gear and were apprehensive. The first time you put on ski boots feels like someone has vice gripped your legs. Not surprising my youngest began complaining almost immediately. But he toughed it out and everyone made their way to the area for ski lessons. They started at the very beginning having never been on skis and worked there way up to a snowplow in their first two hour lesson. At the end no one wanted to ski again. Their legs hurt, their bodies hurt and they were TIRED. It has been years since the kids slept as good that night. Don’t worry they had another lesson planned in Kleinwalsertal a few days later and they were excited to go after recovering. There were lots of other activities that we could do at the ski resort in Damuls and were going to go on a guided lantern hike that night but I couldn’t get anyone out of bed! There were two other activities that I thought the boys would love; tobogganing and mini snowmobile driving. Turns out the toboggan run was a little more than we bargained for. It totally would be great for older teens (M had a great time until he had a crash and hurt his arm a bit), but for K it was too overwhelming. The run is 3km down and on the mountain ski hill. He was terrified as soon as he saw the size of the first hill. Suffice to say we all ended up walking down the mountain which was a bit exhausting. For the life of me I couldn’t get K to get on the sled and try it. Sometimes, things just don’t turn out the way you envision. ..and sometimes they do. M and I went to the village of Au (you should visit just because the city names are great!) to see the process to make traditional alpine cheese. We had to go early because that’s when the cheese is made. All of the milk used is natural and the animals never get any antibiotics. They also only eat grasses and harvested hay that hasn’t been treated. In summer farmers take the animals higher up the alps to graze and in winter bring them down to the valley where they are safe. The cheese is still made in the traditional way; heated for the curds and whey to separate. Then the curds are scooped out using a gigantic cheesecloth and some serious muscle. It’s all pressed into a round mold where the excess liquid is squeezed out. The cheese ages for at least 3 months when it’s ready to be eaten. A key characteristic of this cheese is how melty it is. We discovered this right away when we ate it at dinner! The second half of our vacation brought us to this area of Vorarlberg. A winding mountain drive was something we dreaded a little at first but turned out to be a lot of fun seeing the small villages along the way. It reminded us a lot of the Agadir to Essaouira coastal drive (one of our favorites in Morocco) albeit with a lot more snow. We got in a bit later than planned and checked into our apartment/homestay at Landhaus Bromm. Another beautiful room that was spotless and the proprietress Patricia an absolute delight. Our daily breakfast was exceptional and diverse. One of the really nice things about this area is that the villages are really set up for a great children ski holiday. There are numerous hills and winter activities and a bus that runs throughout the villages to transport people. With our stay we were given bus passes and the bus stops literally outside the door of the house! Even in snowy weather (which we had) the bus is super punctual. So if the pick up is 8:12am it’s really 8:12am. We could have driven but the bus was so convenient and easy why bother? The boys ski lesson this day was a lot more fun for them as they had the basics down and our instructor Tobi was not only really good but a lot of fun. K decided he was done with skiing and he and I spent the morning playing in the snow. By the end of his lesson Tobi had M take the tow rope up the bigger hill and make his way down – and he did great! He really picked up on skiing so quickly! After lunch M and MarocBaba decided they wanted to ski more so they did while K and I made snowballs. While there were also options for winter hikes available to us the ski bug had hit! I know, I know it’s the most important thing in my traveling life! 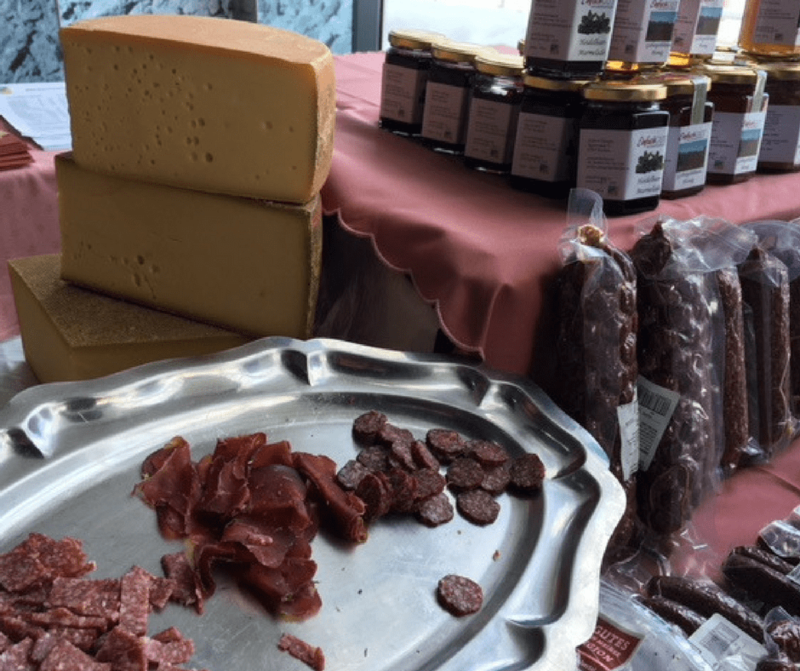 Vorarlberg is known for their local foods, especially cheese. This was music to my ears. Traditional Austrian food in this region is pretty heavy but it needs to be, winters are long and cold and people work very hard. Many still are farmers. We barely scratched the food surface but we prepared several meals at the apartments and our kids seemed to stick to some of the same foods they really ended up enjoying. No shortage of cheese in this region and it was on everything! There were zero complaints from me or the kids as we enjoyed all of it! 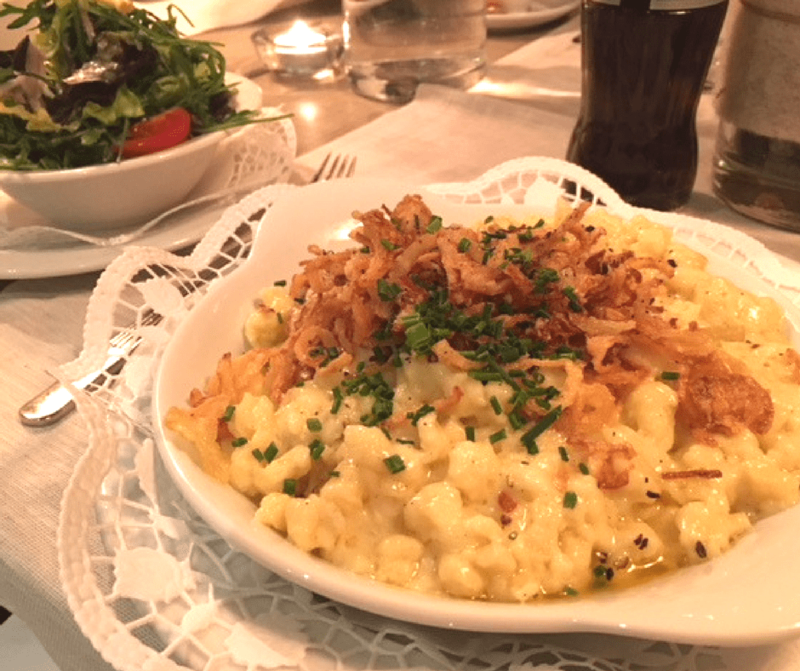 This is a special regional dish made with a type of noodle (spatzle) and you guessed it – cheese! The pasta is creamy and loaded with stringy cheese then topped with fried onions. Sure it’s got a few calories but I’m still thinking of it weeks later! 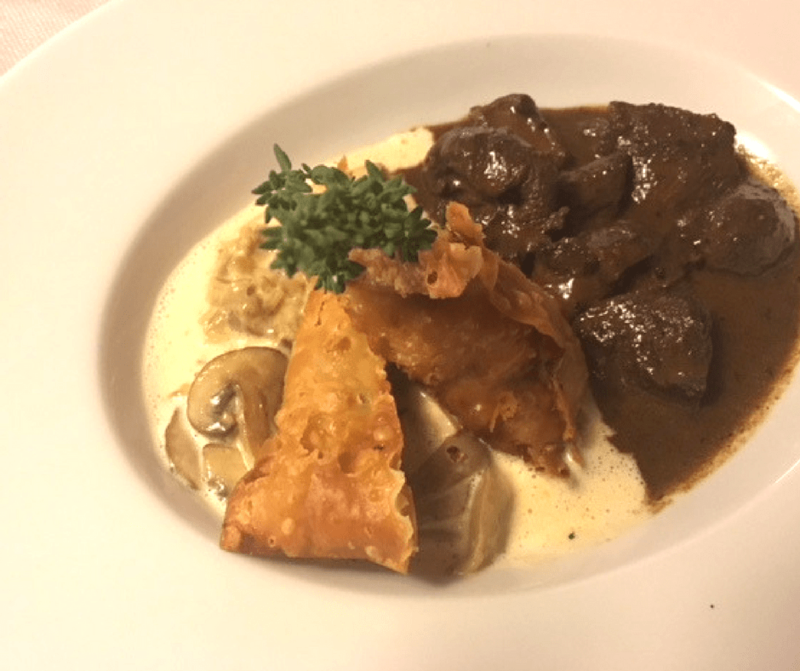 You might think this is a German dish but the Austrians will be quick to tell you that you are wrong. Often times it’s made with pork but we also had it made with veal and chicken. This was K’s very favorite food and you don’t want to know how many times he ordered it. The meat primarily offered is venison and both MarocBaba and I ordered this in two different places and both times we were very pleasantly surprised. It was cooked so well. Venison is hard to work with and even harder to get right so clearly they know what they’re doing in this part of the world! I can’t forget desserts! While I had dreams of visiting cafe after cafe and tasting all of the delicious pastry and baked goods it just didn’t happen. When you’re traveling with kids it isn’t always easy. But when I did have the apple strudel I was very happy. In Mittelberg (Kleinwalsertal Region – also known as the Gourmet Region) we ate at Wirsthaus Hoheneck whose chef was named the best chef in Austria this past year. The food was very good, simple and local. It was a really nice experience to eat this quality of food without the pretentiousness that sometimes comes with higher level cooking. Ski holidays with kids in Austria can add up. But, that doesn’t mean it’s completely unaffordable. 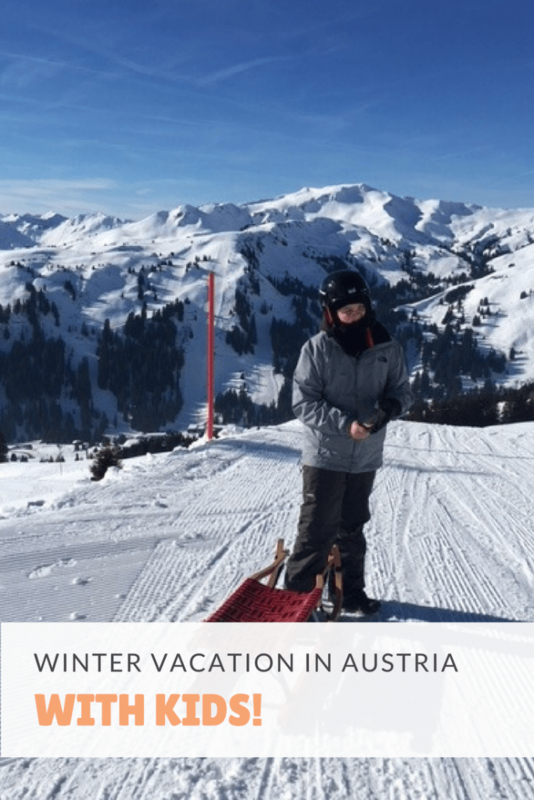 In my post on 9 things to consider when booking your Austrian ski holiday I give some additional information on how to save money and what to consider when you are making your plans. Austria is divided into states (we were in Vorarlberg). Each state is made up of regions (Kleinwalseral and Bregenzerwald are regions), and then there are villages and cities that make up each region. Many villages especially in the regions we visited are very small and close together. 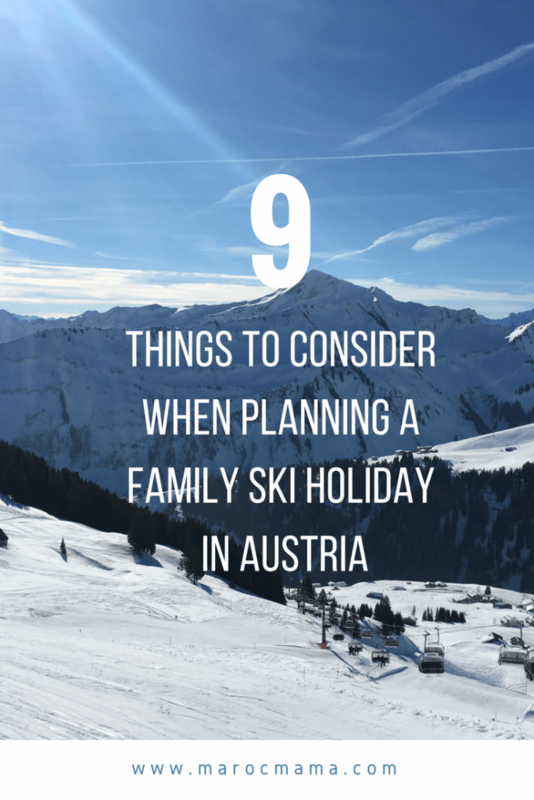 Keep this in mind when arranging when arranging your Austria ski holidays. If you’re thinking of visiting for a ski weekend in Austria then you may want to just stick to a single resort as there’s plenty to do for a short period. We visited the last week of January/beginning of February and the weather couldn’t have been much better. It snowed only one day and the other days were sunny. During the day the weather was amazing but as soon as the sun went down the temperatures dropped massively. You certainly need proper winter gear which as you might imagine was not easy for us to find in Morocco. I’ll be posting a condensed packing list soon to help. For those that are not used to mountain skiing the ski areas of Austria may be a little intimidating. There are some VERY big hills here. There are also plenty of runs for beginning and intermediate skiers. There were two big differences I noticed between resorts here and in the US. First, there are a lot of instructors available to help people who are at all different skill levels and it’s not as expensive as in the US. If you’re not feeling comfortable – book this! Second, everyone wears a lot of protection. This means nearly everyone wears a helmet and I saw many people wearing chest and back pads inside their jackets. Stay safe, it’s a great idea! If you only speak English you might face a few challenges when you visit. What we found was that while staff often spoke English at resorts, there was much less English spoken than we may have anticipated. This isn’t a bad thing, it’s just something to be aware of. We were able to use some of my German from years past and some French at times to get by. Many of the resorts here primarily see German and Dutch guests so it makes sense that German remains the lingua franca. This space is a multifunctional meeting place and showcase of locals craftsmanship. There are events and workshops regularly held here as well as a restaurant/cafe to enjoy local treats. This isn’t a “street” but a collection of producers that have joined together to show off the cheesemaking traditions of the region. So if cheese is your thing you’ll want to check in and see what’s happening! This is a beautiful natural bridge that is fun to visit in any season (just dress appropriately!) It’s a very close walk if you decide to stay at Landhaus Bromm too! In winter this market is small hosting just a few producers but we hear as the weather improves there are more things available. Either way you can walk away with some great local produce. We opted for cheese, honey, and cured beef all done locally. From beginners to advanced snowshoe hikers there are multiple options you can book to explore on foot. There are a LOT of trails in this region where you can hike year round. Depending on where you choose to stay check with the local tourism office or your accommodation to get some ideas! Is this the best family vacation in Austria? We haven’t visited in summer but I can say our ski holiday in Austria was something we’ll not soon forget! Who wouldn’t love to take a girlfriend getaway in London? This city wasn’t on my radar for a long time, I was never drawn to the famous cities of the world, and instead I longed to visit far flung corners that no one could pronounce. While many Americans dream of visiting London someday it was never really on my radar. But, after several trips it has grown on me immensely. 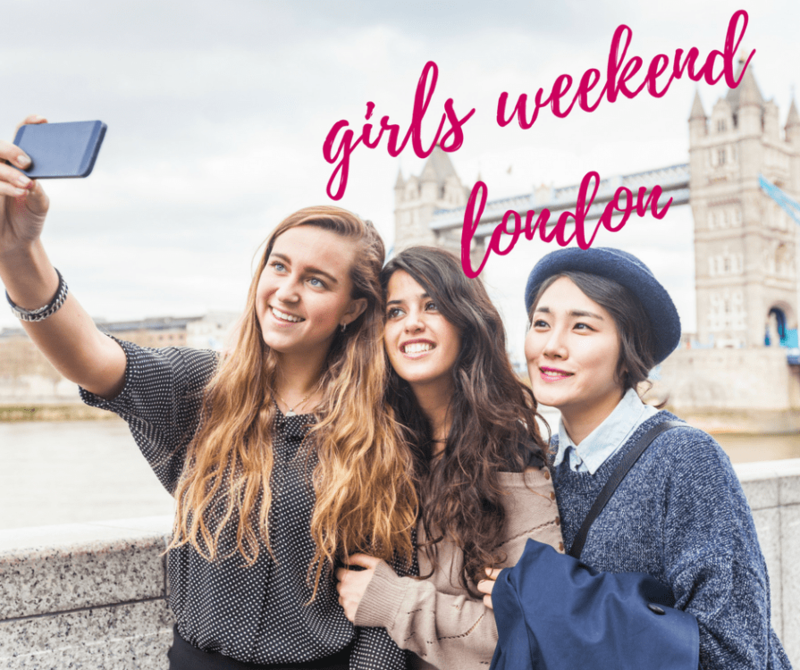 So when my friend Sofie of Wonderful Wanderings and I decided to attend a conference in the city during November I jumped at the chance to have a girls weekend in London! There is no shortage of fun things to do in London that is for sure! The only problem you may run into is simply not having enough time to do everything. I think a really good tip when you start planning is to think geographically. Map out where you’re going to stay first. Or, if there’s something you really want to do/see choose where you stay based on the same area. London is a big city and getting around, while more easily done thanks to good public transportation can take up a lot of time and isn’t cheap. (More on that later in the post). Depending on your style I’ve put together a few different ideas for your London break! This vacation is all about the girls isn’t it? If you’re looking to relax and have fun with your friends than this is for you. One of the things we HAD to do was afternoon tea in London – is there really anything more British than that? Sofie and I booked a table at Reuben’s at the Palace Hotel. There are a LOT of places to choose from in London but we decided on this due to its location and good reviews. We also were able to snag a 30% coupon online from Bookatable.com. While we certainly could have dressed up in heels and dresses, this isn’t really our style and we felt perfectly at ease. Not to mention they went out of their way to provide a special birthday drink and cake for me! The food was really good and the service lovely as well. I would say this is a MUST for your girls weekend! In the morning another day we headed to Camden Market to browse thrift stores and boutiques and check out their food options. We didn’t end up eating here but we spent several hours wandering and browsing. Thanks to my self-imposed carry-on bag limit, I didn’t end up buying anything but very easily could have! Of course if you’re into more higher end shopping you could head to the iconic Harrod’s or Oxford Street for international brands. Feeling like royalty? A walk past Buckingham Palace in Central London or through Kew Gardens is lovely when the weather is a bit nicer. You also could book a tour of Windsor Castle, the Queen’s weekend home to fulfill your royal fantasies. Too bad Harry and William are both spoken for! Finally, one of the best things we did was to enjoy the most amazing Chinese dinner. I know what you’re thinking, Chinese food usually equals take out but not so in London. China Tang at the Dorchester hotel serves the most amazing meal you might ever eat. Get dressed up, and enjoy this truly memorable meal. We split one duck between 3 of us and order a few extra sides and it was more than enough food. Buy a Skip the Line Ticket to avoid crowds! You can’t miss Westminster Abbey if you walk in the nearby area – it’s huge! While it is possible to enter and tour the abbey the price is quite steep at 20£ per person. Honestly, I’d take a walk around the outside to get a feel for it and skip the interior at that price. You could also go on Wednesday evening after 4:30pm when it’s half price admission. If you’re into the more dark side of London, than taking the nighttime Jack the Ripper Walking Tour could be right up your alley. This tour provides a guide but also projection technology that allows you to see and experience what the streets of London would have been like while including modern crime profiling to piece together the case. The tour is just under two hours walking. Want to eat in one of the oldest restaurants in London? Head to Rules in Covent Garden. It’s been operating since 1798 and has been owned by only three families. The fare is classic British including wild game, oysters and pies. Some of the biggest names in British history have dined here making it a great stop for the history buff. Long before TV was even on the scene there was the theatre and London easily rivals New York for history and productions. Head to the west end for a live theatre performance of a modern classic like Hamilton or Wicked. Or if you’re more interested in the classics you should book a visit and tour of the Globe Theatre, the home of Shakespeare’s productions. The theatre was expertly reconstructed in the 1990’s to be true to its original form. If you’re a mystery lover than check out the Doctor Who Walking Tour or the Sherlock Holmes Walking Tour. Both are two hours long. You’ll go to multiple sites around the city to see where both of these shows were filmed and behind the scenes information about the productions. Then head to Taj 51 for a Sherlock Holmes inspired high tea with all of the components playing on the show themes. Or, the Charlie and the Chesterfield tea at the Chesterfield Mayfair where you’ll skip right to the Charlie and the Chocolate Factory inspired desserts! As I mentioned in the beginning you might want to plan your stay around the part of London you plan to spend the most amount of time. There are no shortage of holiday apartments in London which I’ve found are usually the most affordable way to stay. For our visit we stayed near King’s Cross, which is a great central location for tourists visiting. 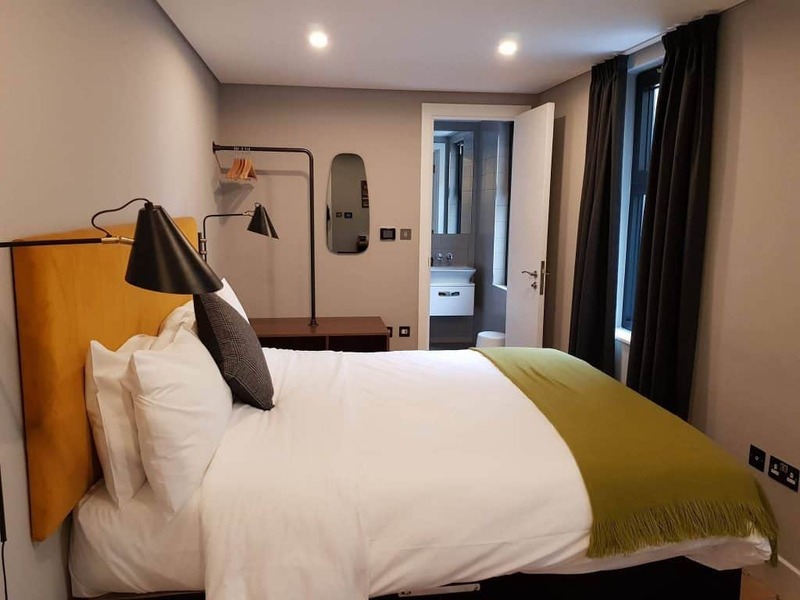 The apartment was available on Acomodeo and offered by Cuckooz, the two-bedroom apartment was perfect for us and would make a great choice for a girlfriend getaway in London. If you’re more interested in a hotel, there are literally hundreds (if not thousands!) to choose from but I still think you can’t beat the price of an apartment rental! Preparing for a trip to London is like getting ready to visit any major city around the world. But, you should prepare for unpredictable weather. It seems my visits always happen to be in the fall when the weather alternates from cool but enjoyable to cold and rainy. You’re certainly going to need layers so that you’re ready for anything. A rain jacket and water proof shoes or boots are recommended any time of year (just in case!). You may also want to pack a fancier outfit if you plan to go out for a high tea or dinner. While public transportation is great you may also discover it’s quicker to get around walking so pack good walking shoes for putting on the miles. Toss in an extra scarf or two to dress up an outfit or take out a bit of the chill. One of the best things to pick up when you get to London is an Oyster Card. This is the cities public transportation card. You can buy one online and have it delivered before you depart for London but you can not buy a visitor Oyster card when you arrive in London. It gives you access on multiple public transportation options at a reduced rate and caps the daily cost at £6. This makes it really good value. The Citymapper app is something else to check out. It has departure times for public transit, line status and disruptions and several other features to make getting around in London easier. 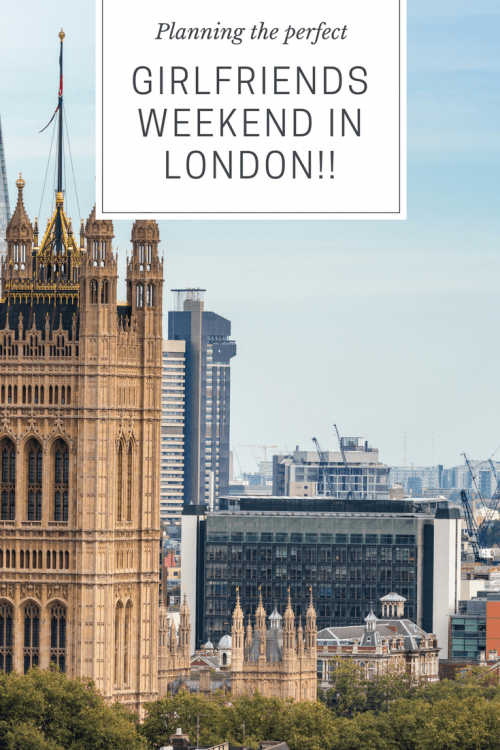 I truly love London for a city break and I think you will too! 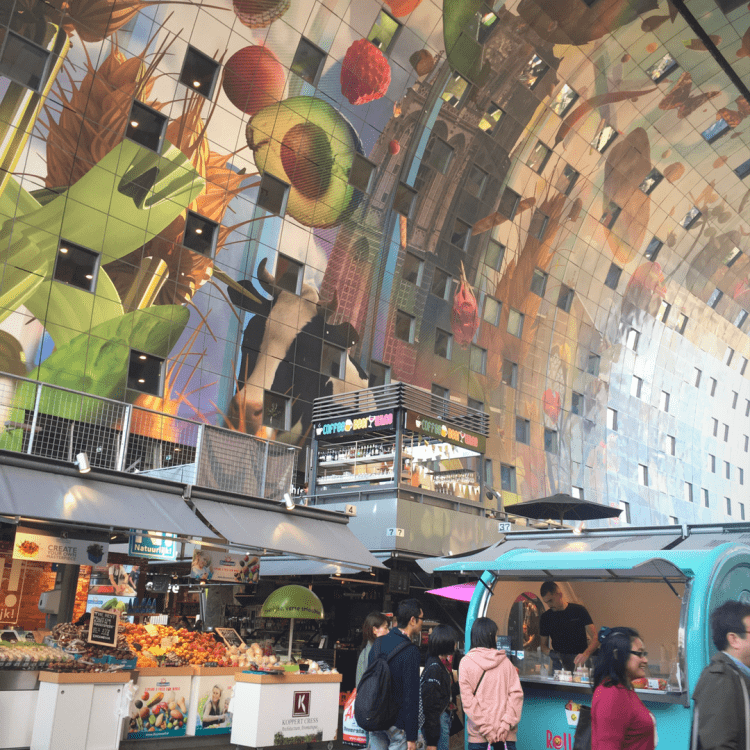 If Rotterdam isn’t on your travel radar yet, it should be! This Dutch town in southern Holland is not only Europe’s largest port city but also a foodie dream come true. The city isn’t huge, with a population just above 600,000 people so getting around is easy. Like many port cities there’s a huge mixing of cultures and diversity that flavors the food scene. There are over 176 nationalities that have made the city home! Finding good restaurants in Rotterdam is almost as easy as tossing a stone and going wherever it lands! Rotterdam is a modern city, having been rebuilt almost completely following the bombardments it faced during World War II. If you compared pictures of the city before the war and today you’d struggle to find too many similarities. In a lot of ways the city is still undergoing transformations and forging its identity, which makes it an ideal spot to visit if you’re looking for something different. And if you love food? Yup, Rotterdam is where you want to be! If you travel for food like we do, then you’ll love this eater’s guide to Rotterdam. Plan your day around what to eat, and toss in a few things to see around the city too. Arriving in Rotterdam is easy via the multiple rail links to the city. In just 25 minutes you can leave Amsterdam-Schipol Airport and be at Rotterdam Centraal. There are easy connections from Brussels and Antwerp as well. If you prefer a bus Flixbus is an option with multiple routes running everyday from major cities and if purchase in advance it can cost as little as €5. From Rotterdam Centraal you can easily make your way anywhere in the city. Pick up the Rotterdam Welcome Card for access to public transportation in the city and discounts on attractions across the city. When choosing where to stay there are many options. We stayed at Premier Suites Plus directly across from the Centraal Station. This hotel/apartment was a great fit for our family. With plenty of space for two to four people and an in-room kitchenette we had everything at our fingertips to make for a comfortable stay. Once you’ve gotten settled it’s time to set out and explore! Head directly to the Markethal to kick off your food adventures. The most famous food market in Rotterdam is the Markthal, I’d also guess it’s one of the most Instagramed locations in the city. This mixed use space is not only creatively designed but aesthetically appealing too. The walls are completely covered in a giant mural (11,000 m2!) which depicts fruits, vegetables, fish, flowers, and more. The 4,000 panels really make the inside of the market come to life. Inside you’ll discover 96 stalls and 20 shops and restaurants. You can purchase whole food items to take away and prepare your meals at home or you can have a snack or meal in one of the restaurant and prepared food stands. There truly is a mix of everything here! If you plan to prepare food during your stay you can pick up anything you might like here. 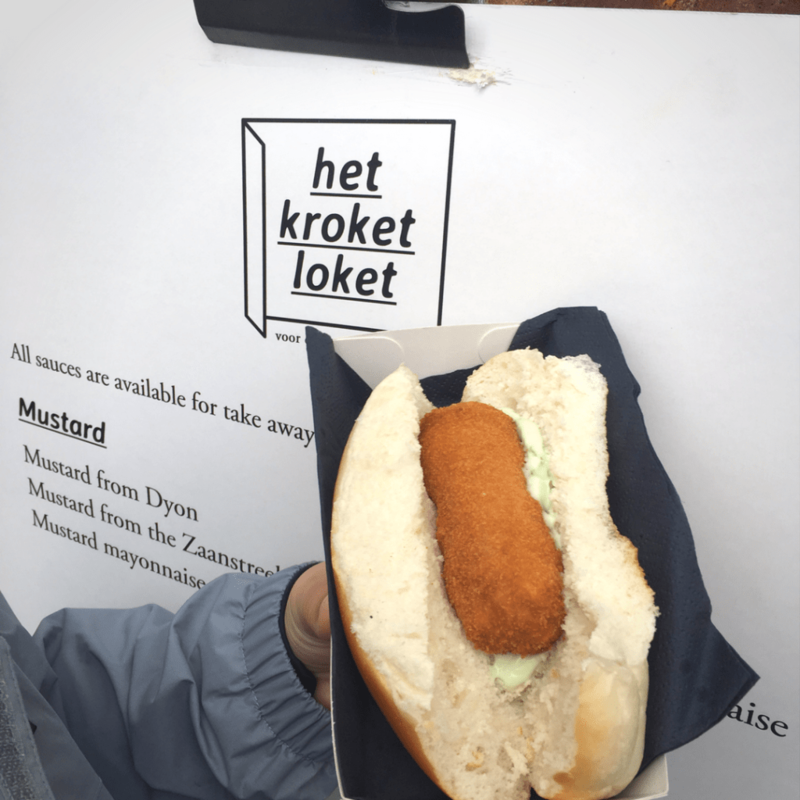 Stay for lunch and try a Dutch dish like the kroket, or make your way back after exploring the cube houses. Just a stones throw from the Markethal you can’t miss the cube houses, perhaps the most unique architectural feature in Rotterdam. 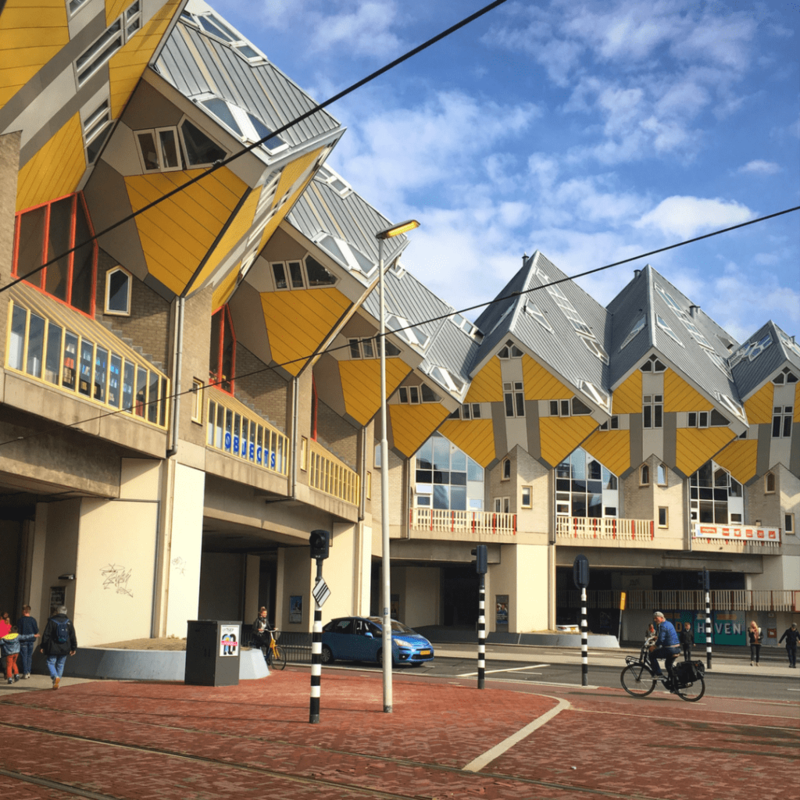 These houses designed by Piet Blom are certainly eye-catching! People do live in these homes and there are also several workshops and shops in the nearby area. You can visit and take a walk through one of the model homes if you’d like. Expect it to be fairly crowded as this is a popular attraction. You’re not full yet are you? Hop on the D or E tram and head south for more food discoveries! There are far fewer vendors here but what they lack in quantity the gain in quality. These are true food artisans. If you’re too full already than pick up a fresh stroopwafel and great cup of coffee. For something more substantial pop into The Kaapse Kitchen where each week the kitchen is taken over by chefs who feature a different type of cuisine. As mentioned, Rotterdam is a port city so it makes sense that there is plenty of activity on the water. The Spido cruise is a 75 minute waterfront cruise where you’ll learn a bit about the city while enjoying a relaxing cruise. There are multiple cruise times depending on the time of year. Of course there is some onboard snacking if you need a little something! This is the heart of Rotterdam’s art scene and chock full of great restaurants, shopping and cafes. It’s really worth a visit during the day and at night as the vibe is completely different. If you’re looking for a place to grab dinner, we tested out Supermercado a South-American style cantina. 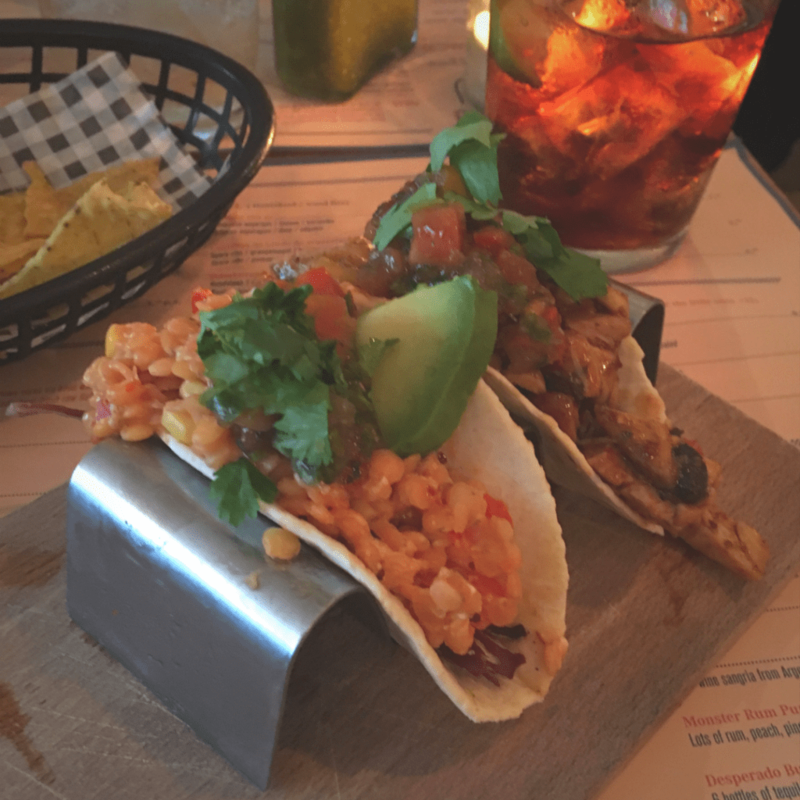 Our family are true lovers of Central and South American cuisine so we had high hopes. They have a full drinks menu as well as a curated menu of classic flavors and some interpretations as well. I was very happy with my tacos, the empanadas were a hit with the kids, and salmon burrito bowl didn’t disappoint MarocBaba. Enjoy a dessert here or take a stroll and grab some ice cream on your walk! Breakfast is my favorite meal of the day. Get a late start if you opt to make something in, or check out one of the great options we discovered near the Centraal Station. One of my favorite breakfasts is Turkish so I sought out a Turkish restaurant in Rotterdam to try and have a giant breakfast. Ilya was within easy walking distance to our hotel and once I saw the menu (and that the restaurant had lots of Turkish patrons) I had a feeling we’d stumbled on something good. Everything is made fresh in their open kitchen including the fresh, warm bread. When my Turkish breakfast plate arrived, I was in complete heaven – this is what I had been dreaming of! Even though the service can take a little while, it was worth the wait! If you’d like something a little quicker and perhaps more mainstream and lighter, Bagels & Beans is another option. This is a chain restaurant but the food was good. There’s a lot of variety on the menu so the kids could get something they really wanted and there’s both savory and sweet options. While you eat make sure to download the app to walk this route. 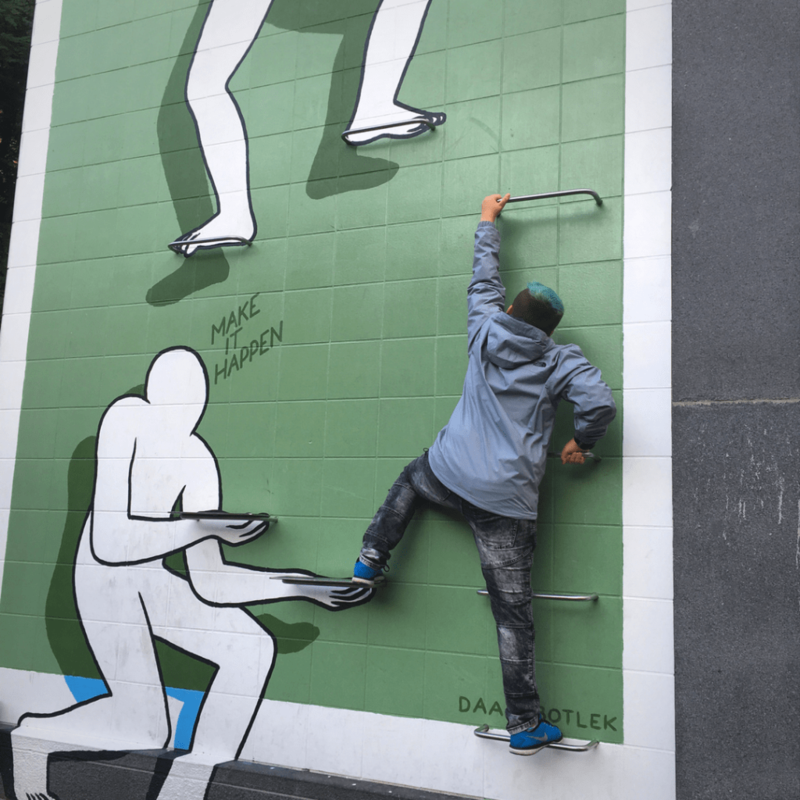 The aim of this project is to curate many of the street art installations found throughout the city in a way that is explorable to visitors and locals alike. For each artwork there is background information and provided through the app as well as walking directions to view more works. Start with the piece closest to you and work your way around exploring. Not all of the street art in the city has full information but there are green exclamation marks pointing out additional works. Once you download the app you don’t need to have WI-FI access, just follow along! There is a small fee attached to the app of $0.99 which still makes it a bargain! If you want to see Rotterdam how it once was, then head to Oude Haven. This is a very small part of the city but old wooden sail boats are docked along the canals and there’s several cafes and restaurants to sit by the water and feel like you’ve stepped back in time. You can’t leave the Netherlands without trying poffertijes, or puffed pancakes. Rumor has it the best are at Seth Poffertijes. This family has been making poffertijes for decades! Try the classic pancakes Located on Hoogstraat 147 near the Rotterdam Blaak station. In the afternoon check out some of Rotterdam’s great art museums like the Netherlands Photo Museum, Witte de With Center for Contemporary Art, or the Dutch Pinball Museum if you’re looking for something a bit more lighthearted! Our final suggestion is for dinner. Some friends of ours gave us the name of a restaurant they frequent when in Rotterdam and while I wasn’t sure our kids would like it, we decided to give it a try. I love restaurants that let you order bites and order more if you need them. Variety is the spice of life and makes for a great dining experience. 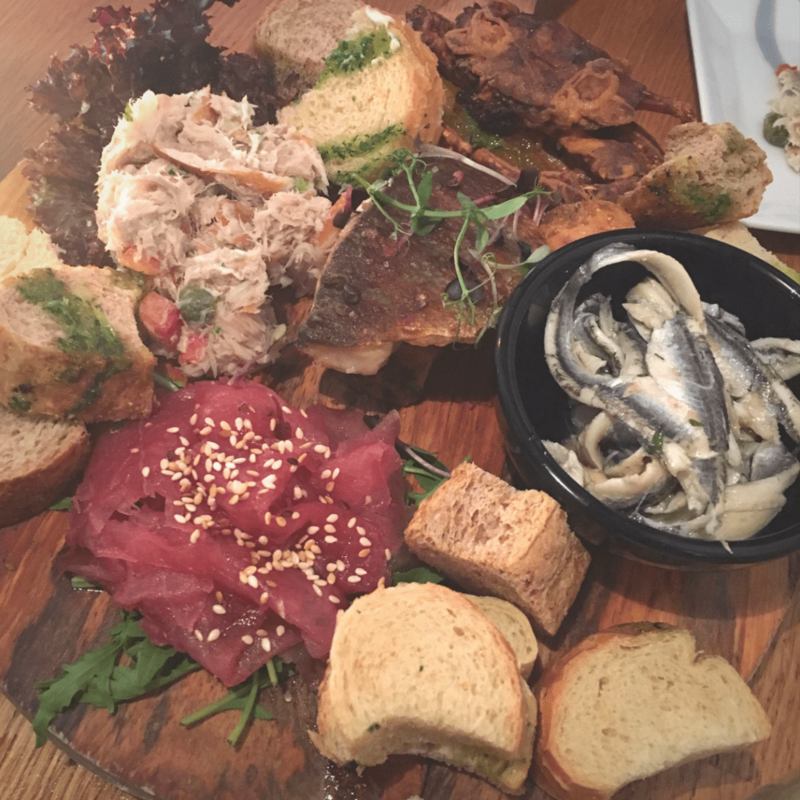 There are ala carte items on the menu, small sandwiches and other bites but their signature are the “snack platters.” Choose whether you want meat, fish, or cheese and you’ll get a plate with a variety of different options plus plenty of bread to make your sandwiches. Don’t worry if you don’t eat everything, for example we asked for our meat platter without pork and they made a substitution for us no problem. Start small and order more if you’re hungry but don’t underestimate the quantity! There you have it, some great suggestions on how to eat your way through Rotterdam for a few days! We never realized this was such an interesting city and a fun place to explore for a family of food lovers. I only wish we could have stayed longer to eat more! Our stay in Rotterdam was assisted by Rotterdam Tourism. All opinions are our own! 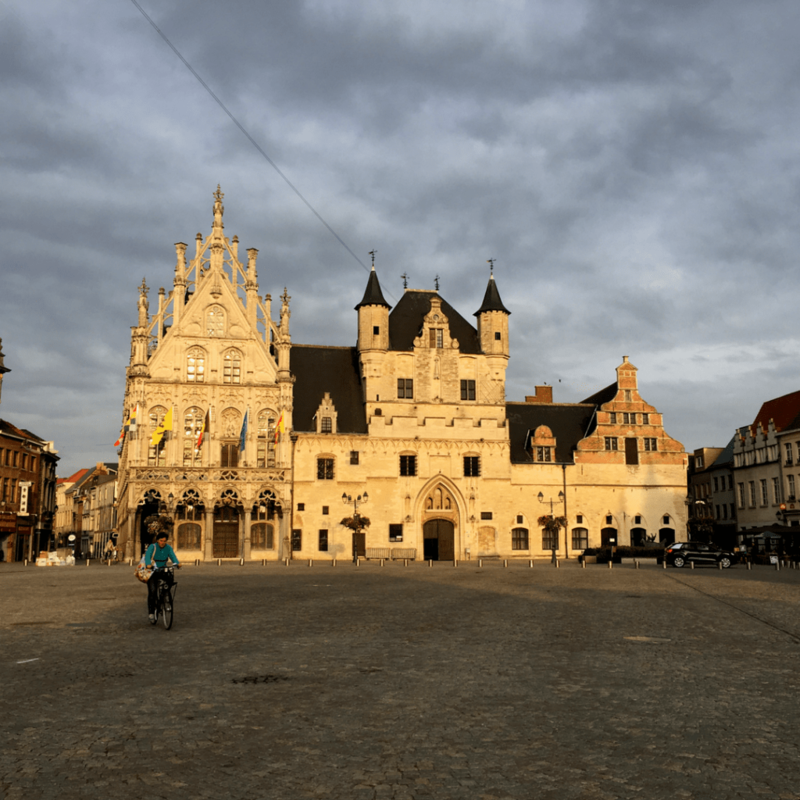 Mechelen, Europe’s Most Family Friendly Destination! Many destinations claim to be family-friendly but few are able to really live up to the title. 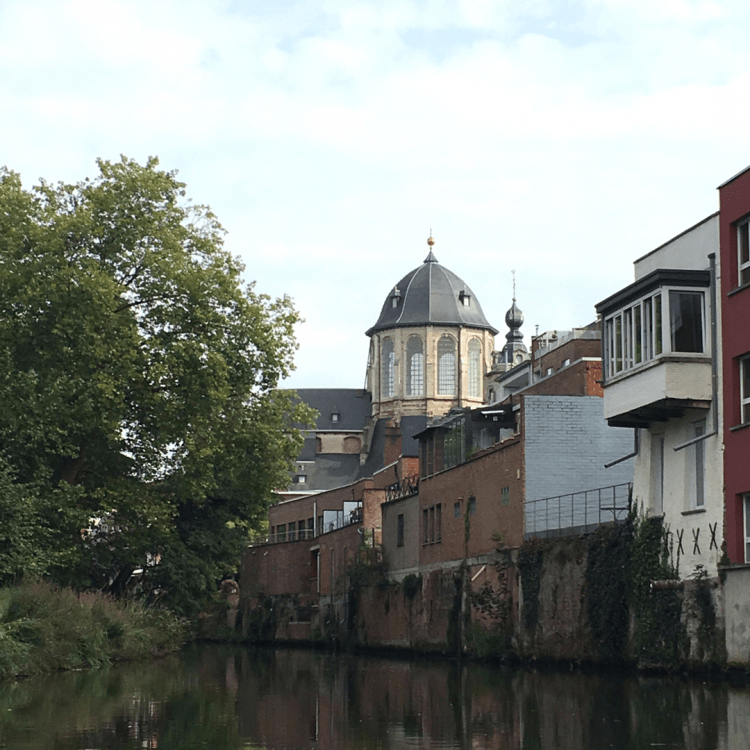 When we visited Mechelen, a small(er) city in Belgium this summer I was interested to see what set them apart as a destination for families. Could they live up to the hype? I was delighted to learn that yes, indeed they do! Why is Mechelen so family friendly? I can’t help but think it’s part of a larger goal of including children and creating a community that does the same. 40% of the population is under 18 and they’ve done some serious planning to create programs that meet this need. Any community that invests not only in attracting families to visit their city but also goes out of their way to make it a great place for families to live has their priorities in order. What does this mean if you’re visiting with a family? A welcoming, relaxing trip is what! Mechelen is small and very walkable (think no hills to climb or cars rushing everywhere). Even though it’s small, don’t think there’s nothing to do. In fact the small size is what makes it really appealing for visiting families – less ground to cover means kids who don’t get worn out with walking all day. Mechelen is located in the Flemish part of Belgium. Belgium is divided into two main areas Wallonia (French) and Flanders (Dutch). The city is between Antwerp and Brussels and can make a very easy day trip from either city thanks to frequent train service. Getting here is very simple. There are IC trains (intercity) that run from Antwerp, Amsterdam, Rotterdam, Brussels and many more cities with stops in Mechelen. You will want to double check that the train does stop in Mechelen as some bypass the stop. Tickets can be purchased online to make things easy. We used the NS.nl app that allowed us to buy tickets in the Netherlands and Belgium during our stay. The tickets are digital too so we only had to scan the barcodes to enter the station and with the conductor. Extremely easy to use. If you have a car you can also drive. The city center does have restrictions on motorized traffic so it may make driving around the city a bit more difficult. The Mechelen tourism page has more information on distances and how to get to the city from major points in the region. My kids have had their fill of city tours and this mom knows when to call it quits. But in Mechelen they’ve designed a tour you can do yourself, at your own pace. They’ve designed two of them in fact. The kids are put in charge of a map and the parents have the book key. 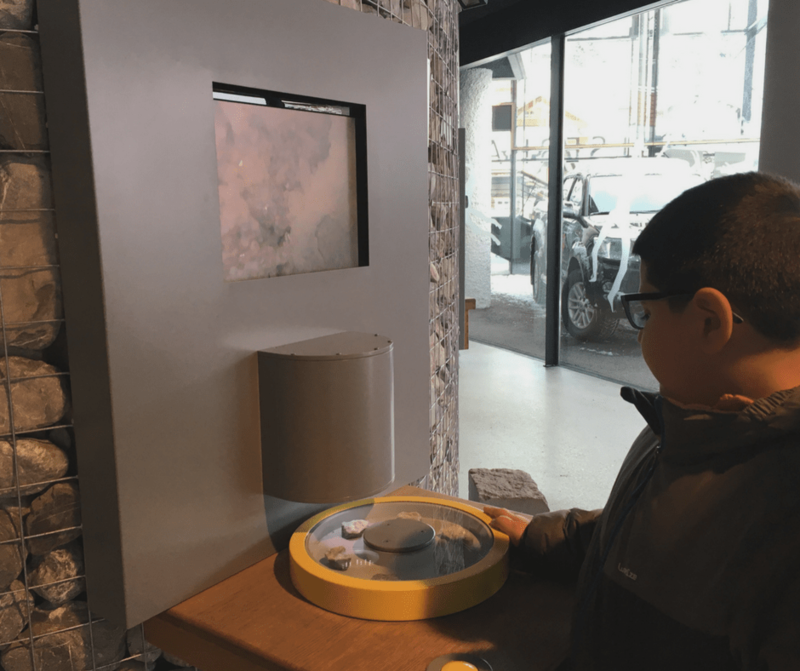 While the kids guide the way on one of the tours (themed with either animals or “wet feet”) at each stop the parents – or kids – can read from the key book for more insight. Take as much or as little time as you want. You can pick up the family city map and other helpful publications at the Mechelen Tourism office just off the Grote Markt. We LOVE food tours but we’d never done a do it yourself food tour. In Mechelen it’s possible! 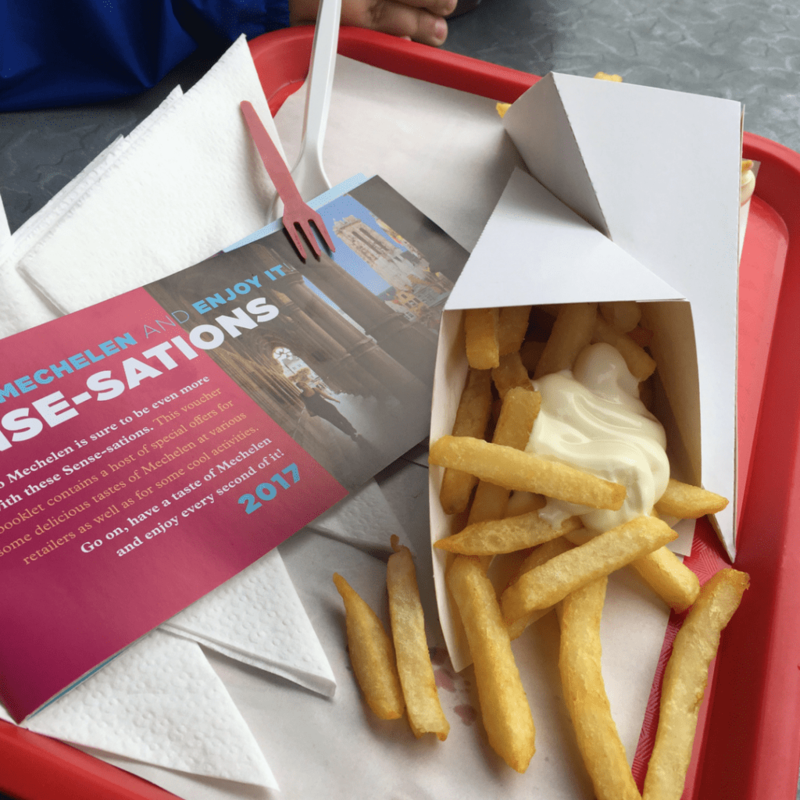 The city has put together a coupon book (the Sense-sational Mechelen Guide) that can be purchased at the tourism office for 5€. I was a little unsure how it would all work but it couldn’t have been more straight forward. We started with the stop closest to our hotel and then found our way around the rest of the path. Each book has several different coupons for local specialties. You simply walk to each of the stops and redeem the coupons. We picked up our food items as we did the walking tour and found it worked really well. It was raining while we were visiting but on a nice day we would have loved to have taken a walk down the Dijlepad to the Botanical Gardens and had a picnic with all the items we picked up. You can’t miss this UNESCO world heritage site visible from nearly every corner of town! It’s very impressive to see from the outside and even though it’s over 500 steps inside to the top, we decided we’d attempt it. I have to admit I was nervous! But, they’ve done a great job making it easier to do. There are five stops on the way up. At each stop you can go inside the tower to see different apparatus and learn a bit more about the inner workings of the tower and its past. This made for a great break on the way up. Once you reach the top there’s a great view of the city and on clear days you can see to Brussels or Antwerp. On Saturday’s the Grotemarkt comes to life with the weekly market. This is an integral part of life in European cities and it’s no different here. Browse the stalls selling a wide variety of Flemish foods and specialty items. If you only purchase one thing, make sure that you pick up some freshly made waffles. They might be one of the best things you eat all year! At just 5€ for a 1/2 kilo bag they’re also a great bargain. Truthfully, I had no idea what a benguinage was until we visited Mechelen. These communities originally started as a way for religious laywomen to live together and create a life for themselves. They never took vows so they weren’t attached to a church but a church usually was central to the community. Overtime these areas evolved as their own villages within a larger area but the key feature was always that it was just women who lived here, protected by the walls that encircled the communities. They developed their own trades and ways to survive and people of all classes could live here, though they needed to provide a way to support themselves. Benguinages answered womens’ need for social and economic needs while giving them independence that was rarely offered to women of this period. For women who chose not to marry, were widowed or were women who wanted a religious life but didn’t want to become a nun this was an answer. 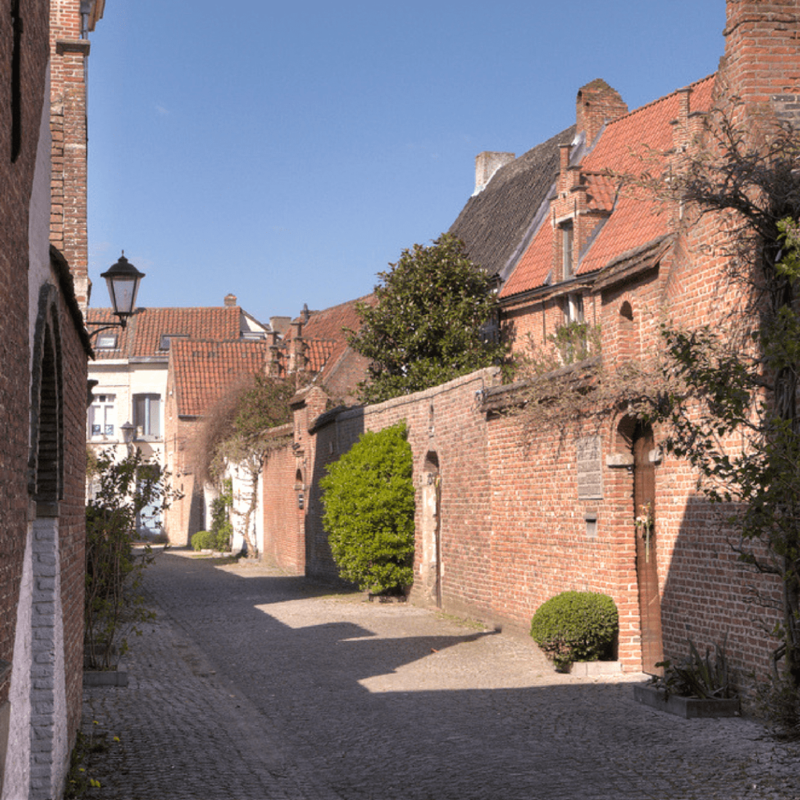 There is both a small and large benguinage in Mechelen. People live in these areas today and it no longer functions as it once did. 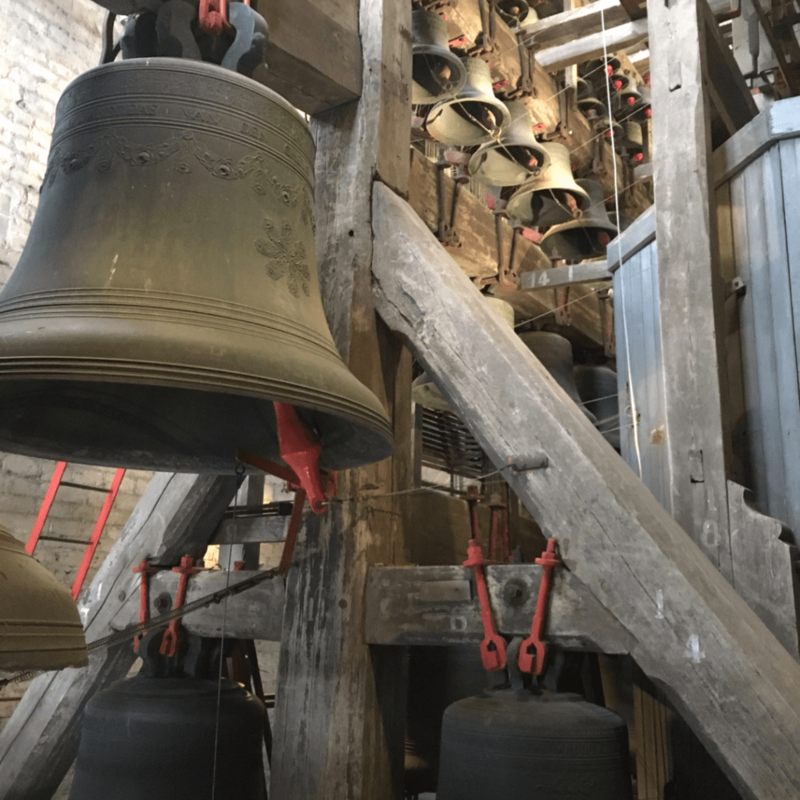 You can visit and see this UNESCO world heritage site and learn more about how the benguinages affected the growth of Mechelen and which industries grew out of thee areas. The Kazerne Dossin is a museum dedicated to the remembrance of the Jews and Romani of Belgium who were deported from the area during World War II. More than 25,000 Belgian Jews were deported from here with just over 5% surviving. It is one part museum and one part memorial documenting the lives of those lost as well as the rise of mass violence; how and why it happens. It might not be best to visit with small children but for teenagers it can be an insightful visit. For a small city Mechelen has many different options for where to eat! The problem we faced was not having enough time to try all the places we wanted! Mechelen takes family friendly even further here. There are restaurants that tout themselves as kid-friendly locations with kids areas, menus, and in some cases quicker service for families (or earlier service for children). Here are our suggestions for breakfast, lunch and dinner. 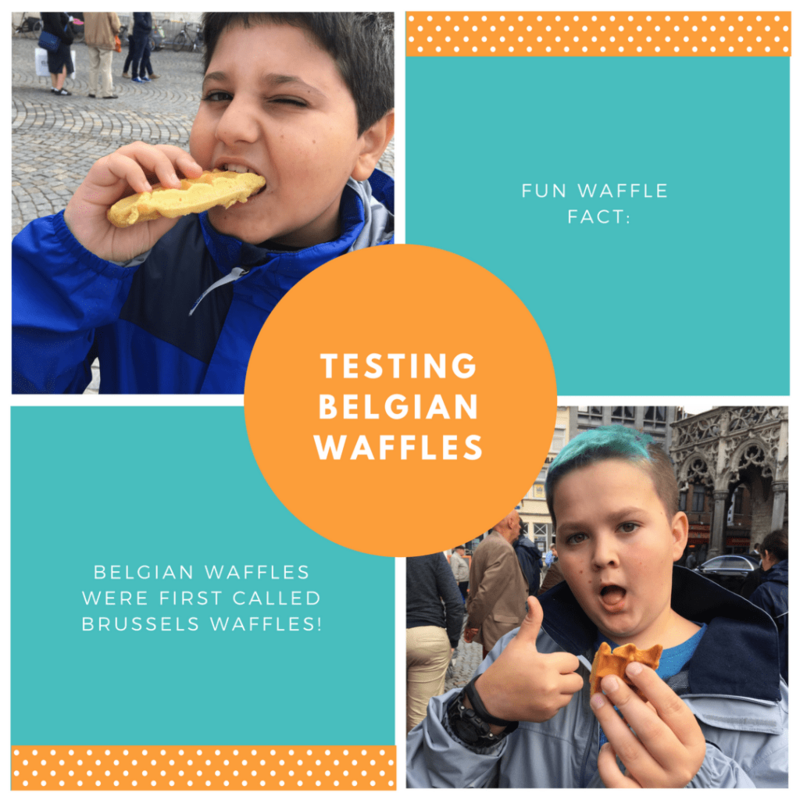 Saturday Market – If you’re here on a Saturday you need to head to the market in the morning and grab some fresh waffles for breakfast. Trust us. Foom – They serve both breakfast and brunch (depending on the day of the week) with big portions so be prepared – your kids may want to share. Located near the cathedral and kid friendly. 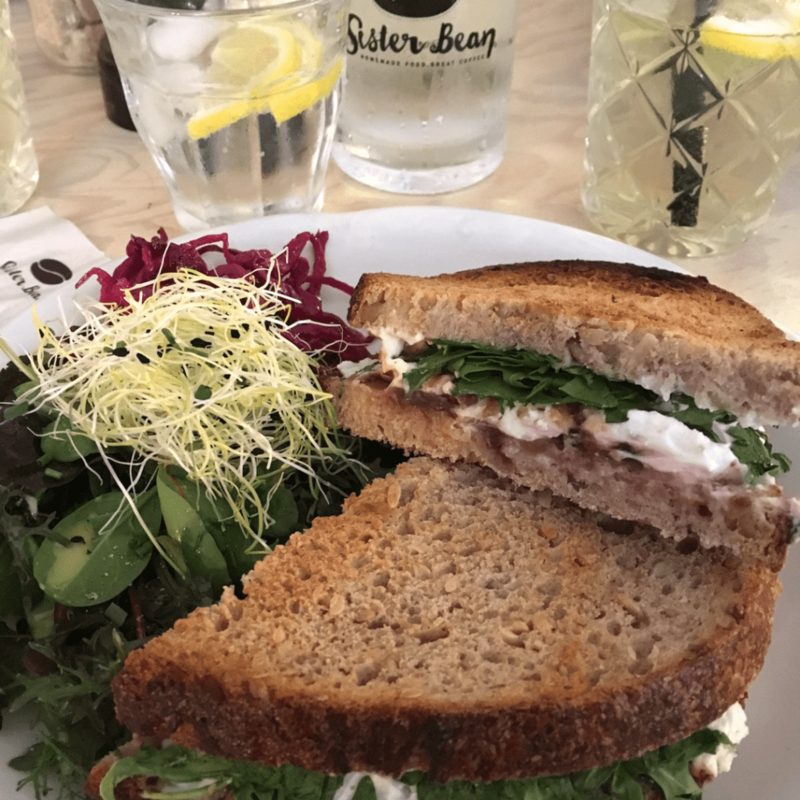 Sister Bean – Pop in for a coffee or grab a bite to eat. Sandwiches and salads fill the menu along with some great desserts. This is especially a good stop if you’ve got anyone gluten-free in your party as they’ve got plenty of options. Brasserie’t Vlietje – Probably a better option if your kids are a bit older but good Belgian food options. They do have a kids menu so children are welcome, we just felt older kids may be happier. Sava – This tapas restaurants isn’t what you’d expect to find in Belgium. But, having eaten in Spain more than I might like to admit, I can say the food here was excellent. We ordered a wide variety of tapas on the menu and really enjoyed everything. So did our kids! De Cirque – One of their menu items for kids is smurf soup – can you really go wrong?? If I had to choose one place you should stay it’s Martin’s Patershof. It was such a wonderful experience for our family that I can’t recommend it enough. 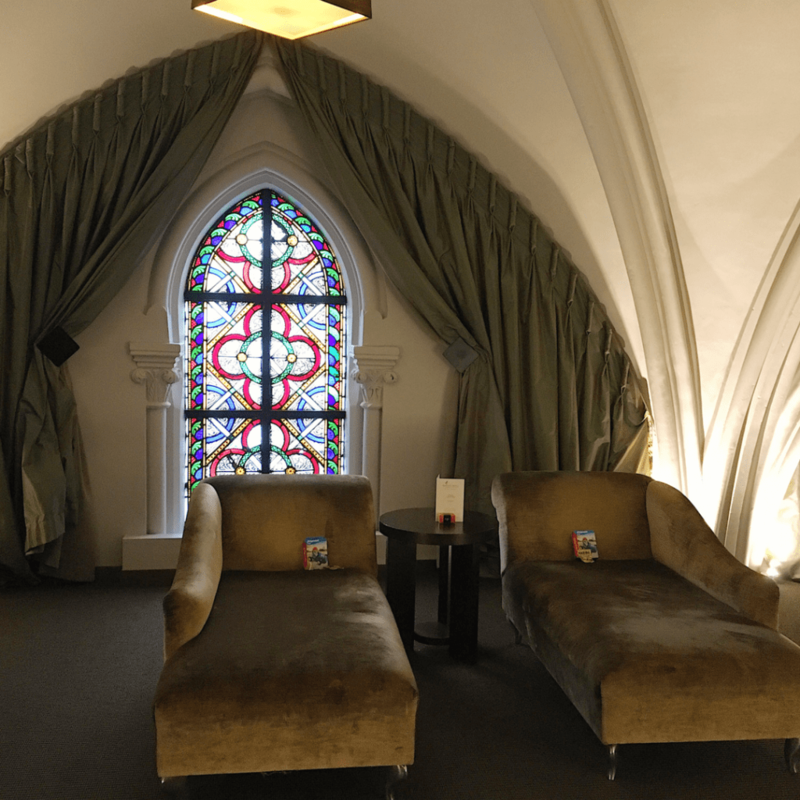 This hotel was once a church but has now been completely remodeled. The rooms are beautiful and exactly the type of place our family seeks out. 100% family friendly, mid-level luxury with great food. I looked forward to breakfast every day. It’s also very centrally located so walking anywhere was not an issue. There are of course other places that you could choose during your visit if Martin’s is booked out. Novotel Mechelen Centrum – Novotel is a trusted brand in Europe and in Mechelen it’s no different. With rooms that can fit two adults and two children (somewhat rare in Europe) your family can visit in comfort. They provide a full free breakfast for children under 16 as well as children’s menu at their on-site restaurant. Holiday Inn Express Mechelen Centrum – With the free wi-fi and breakfast included in the room you’re stay can be hassle free. It’s also a less than 10 minute walk from the train station and city center giving you a great location to explore Mechelen. We really enjoyed our visit to this little gem in Belgium. It was a lot of fun to discover a smaller city than get lost in the large cities like Brussels or Antwerp. Don’t write off small cities when you travel, instead look to what they offer, and you might end up pleasantly surprised!